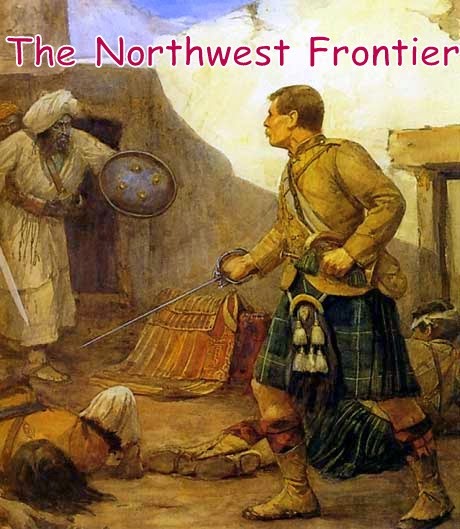 I was first inspired to take an interest in the North West Frontier thanks to the 1959 film 'North West Frontier ('Flame Over India' in the U.S.A) starring Kenneth Moore, Lauren Bacall & Herbet Lom. 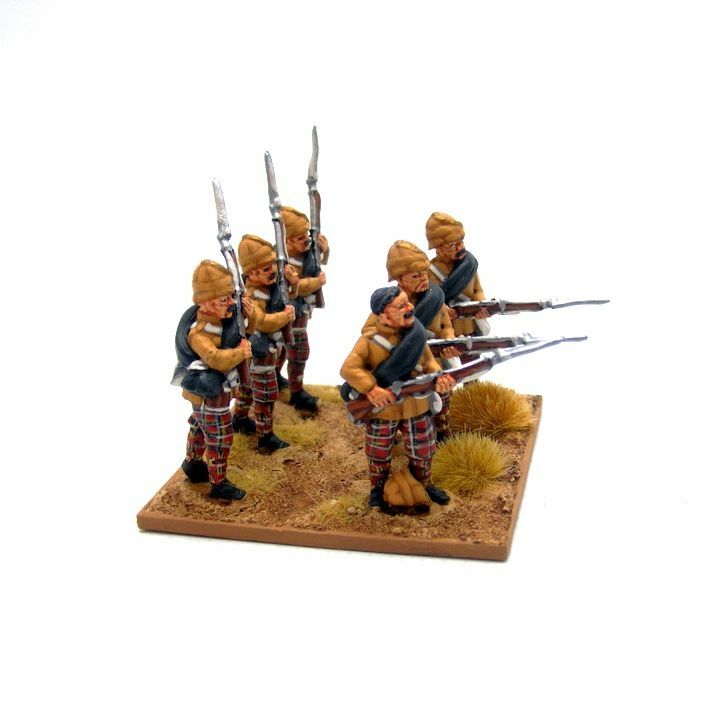 A great film toally inaccurate and politically incorrect from todays perspective but a romping great yarn for a kid back in the early 70's to watch on a wintery night in London. 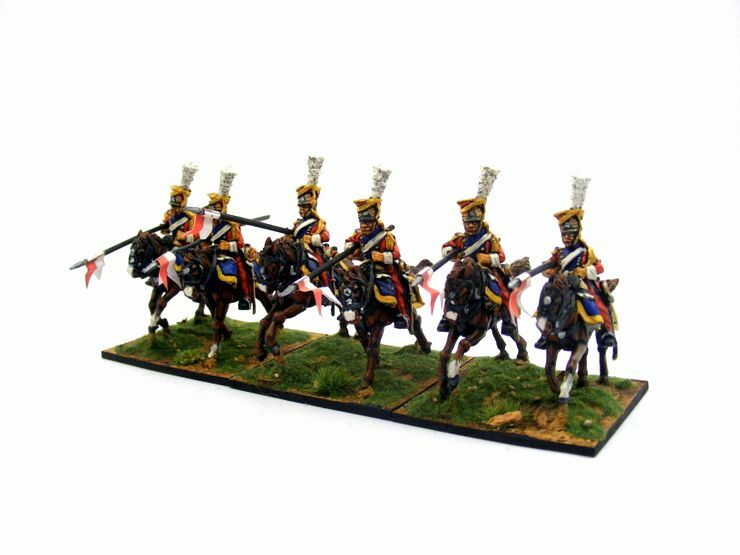 The Afghan Wars produced both hill and plains fighting against opposition varying from regular infantry and artillery operating, more or less in a European fashion, to massed, fanatical charges by largely sword wielding tribal irregular horse and foot. 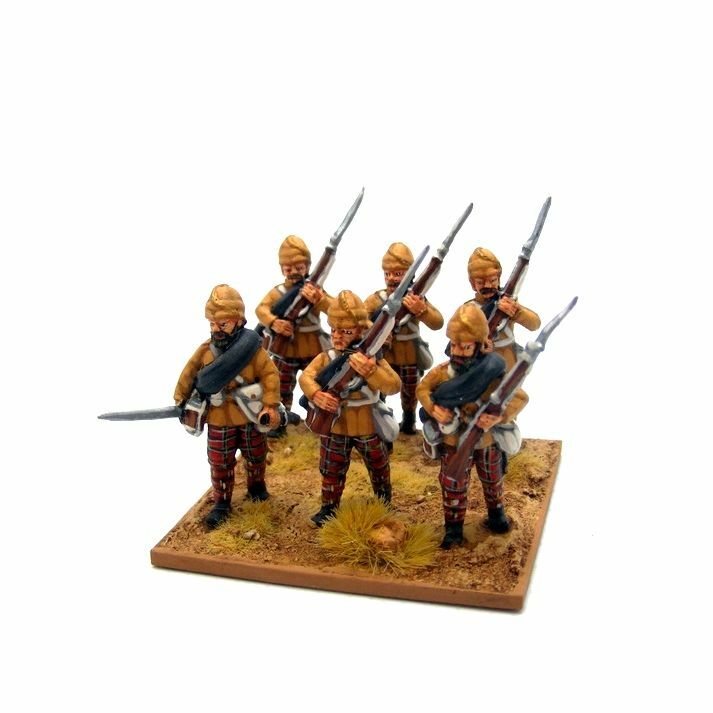 When the Afghan regulars held the high ground as at Ali Masjid and Peiwar Kotal, the attack formation worked well, but more rifles could be allocated to the front line but were seldon equal to european army's. 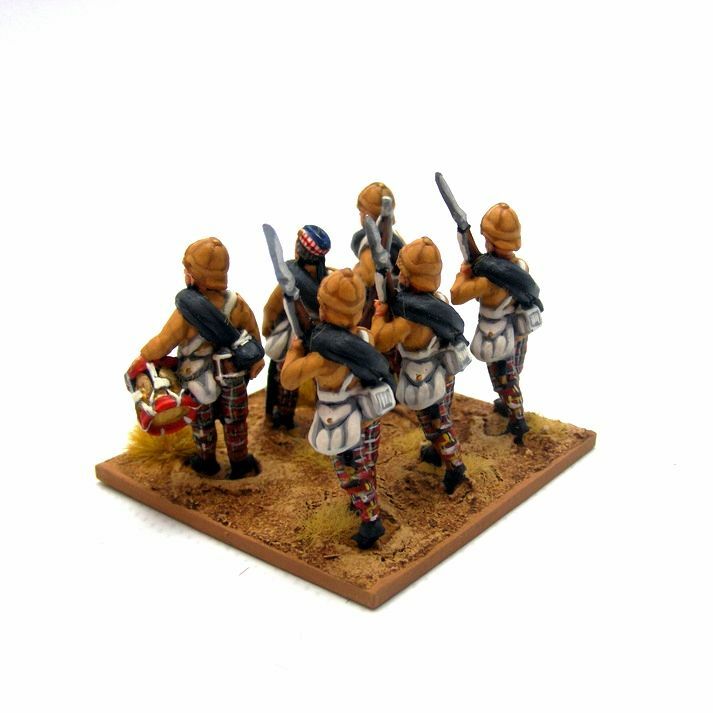 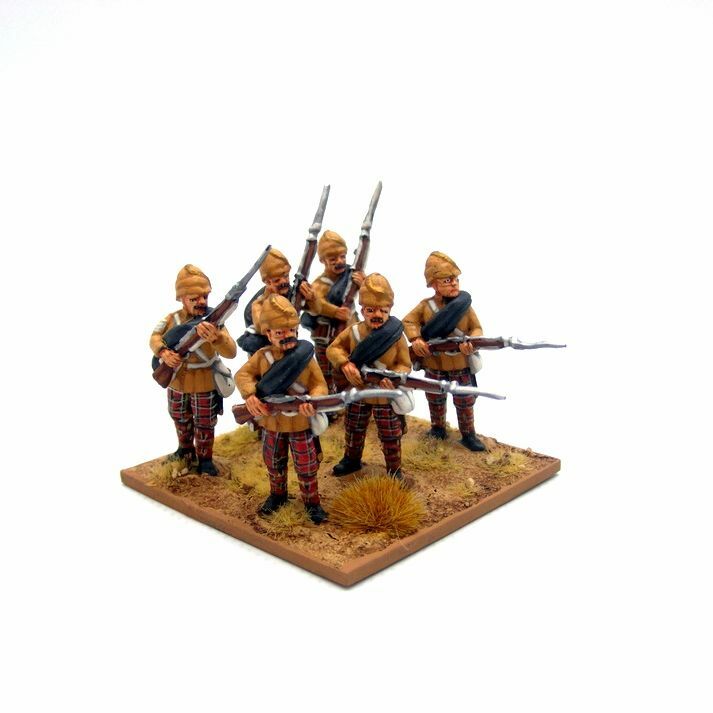 I have started painting some Perry's Miniatures (from their Sudan Range) to represent British forces of the 2nd Afghan War. 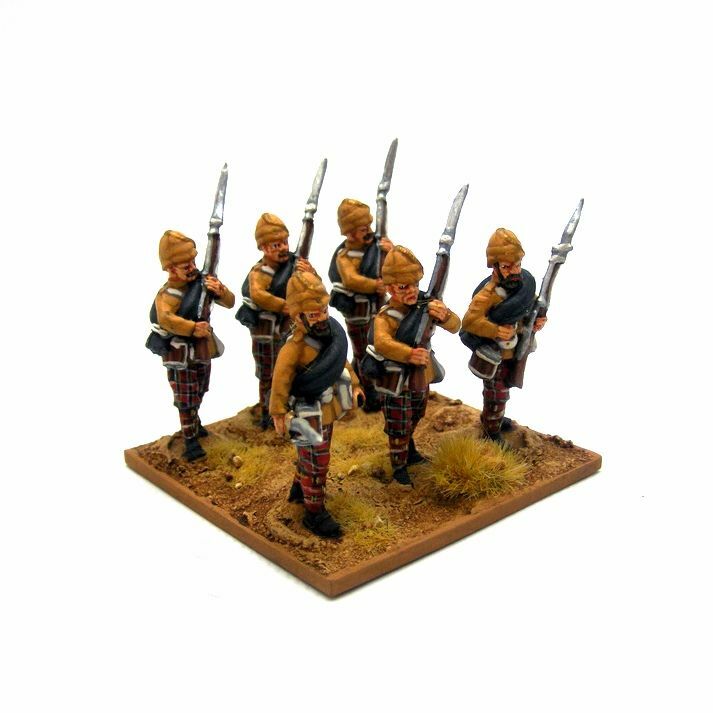 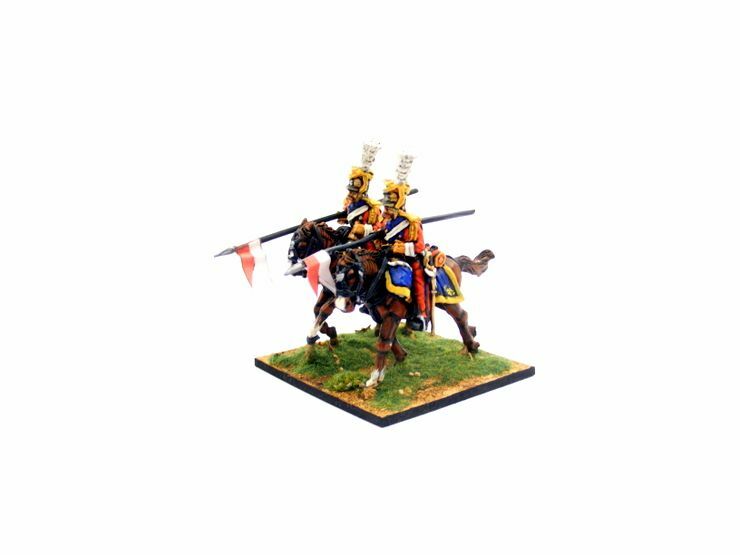 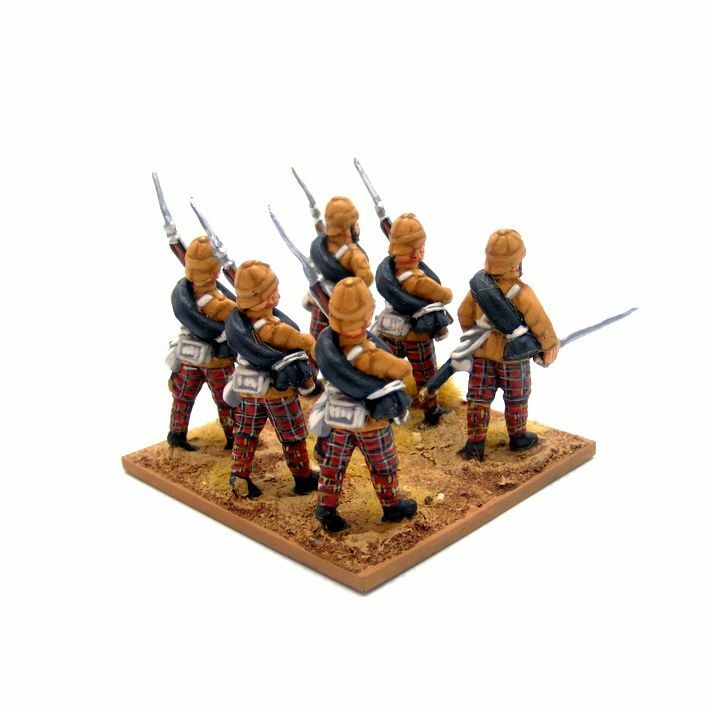 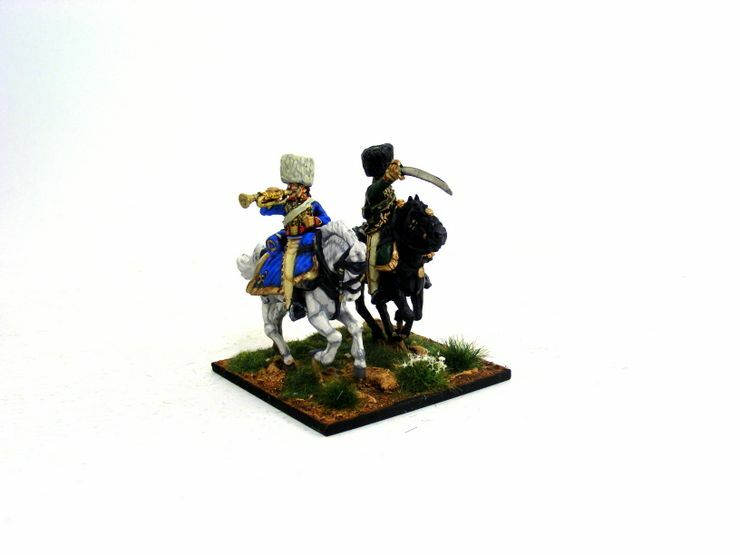 Since iIstarted this project Artizan Miniature have started to produce a range specifically for the North West Frontier, so in time I will try their range. 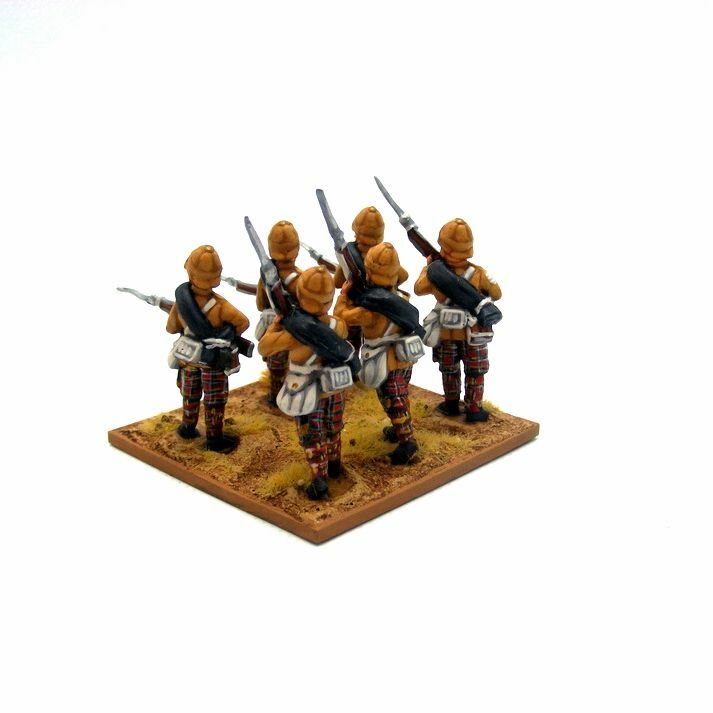 I do like their WW2 figures. 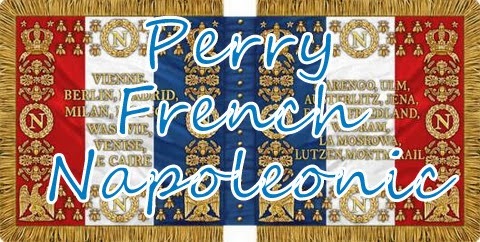 Commanded by Lt. 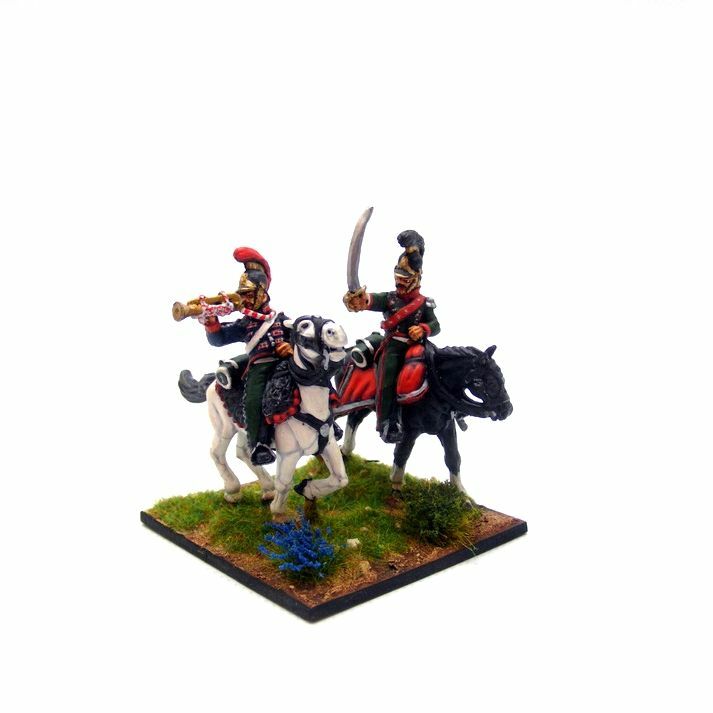 Colonel Francis Brownlow. 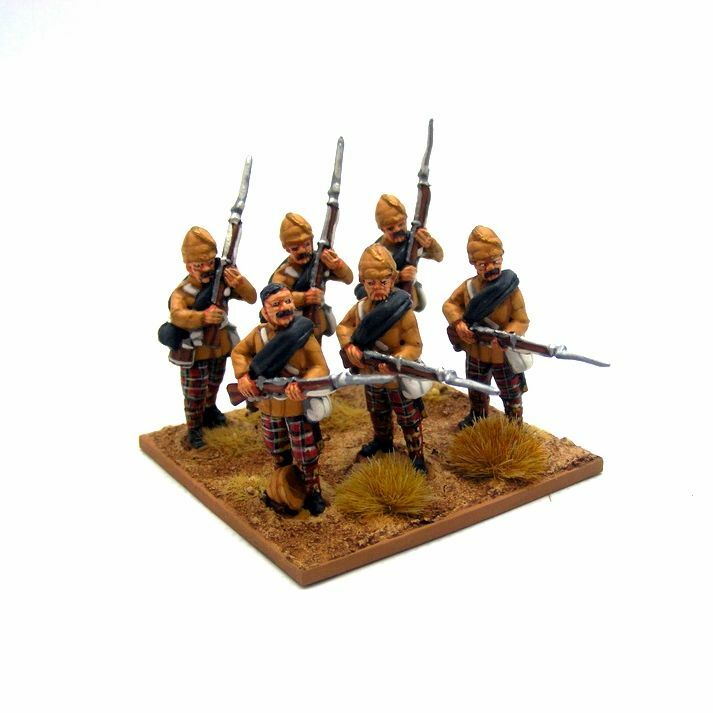 While one wing of the Highlanders remained at Kohat in November 1878, the other joined the Kurram Field Force at Thal, and moved on to take part in the attack on the Peiwar Kotal in December. 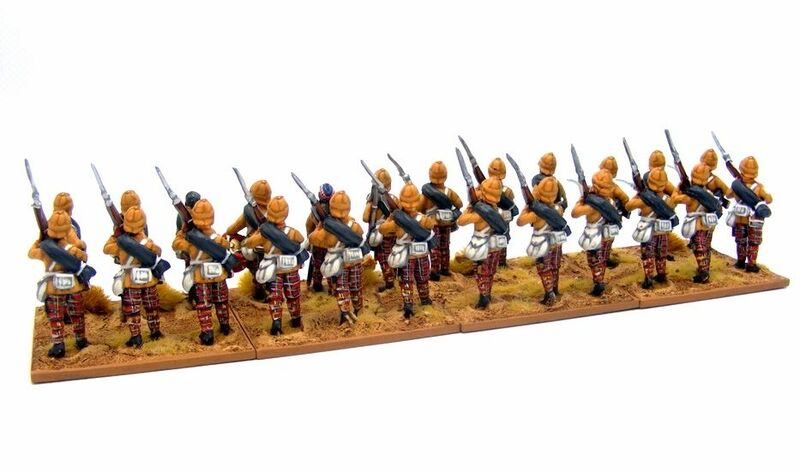 Two weeks later the wing was part of the force attacked by Mangals at the Sapiri Defile near Kurram Fort. 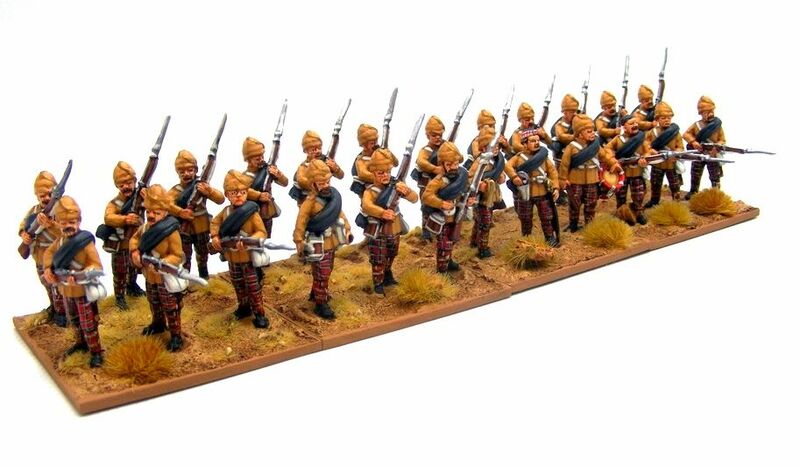 The regiment was reunited in January 1879 for operations in the Khost valley and the fighting at Matun. 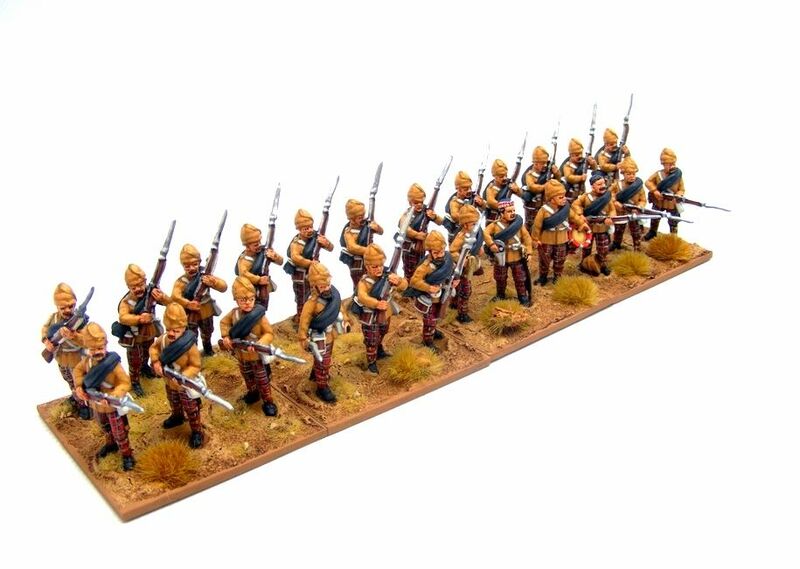 They stayed in Afghanistan for the winter and spring before the massacre at Kabul reignited hostilities, and the 72nd moved forward to the Shutagardan, and then advanced on Kabul, including the action at Charasiab in October. 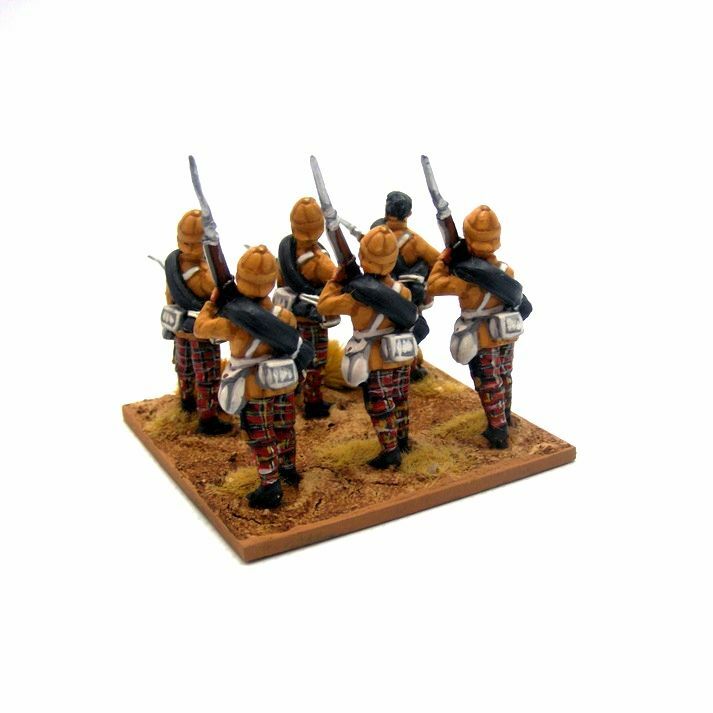 They were heavily involved in the operations around Kabul in December including actions at Deh-Mozang, Takht-i-Shah and the Asmai heights, and the defence of the Sherpur cantonment. 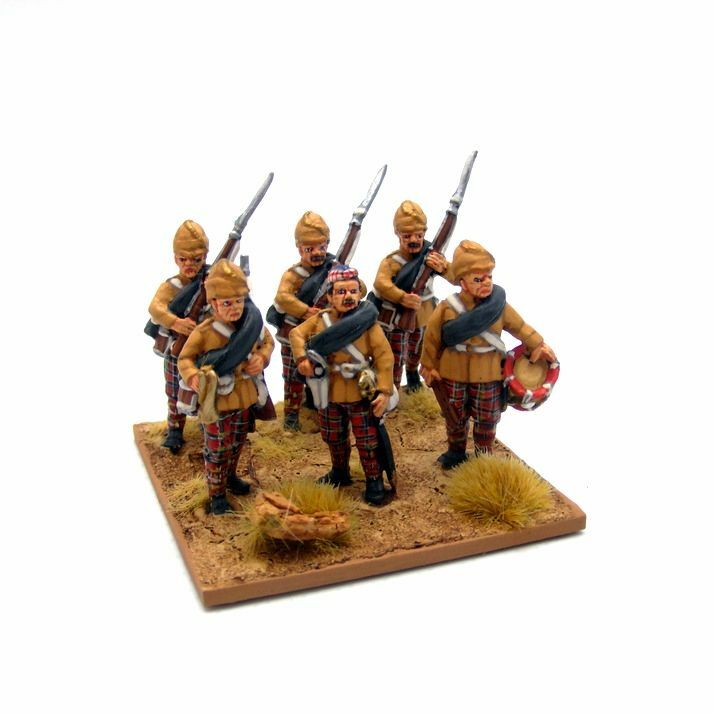 After marching to Kandahar in August 1880 the Highlanders were one of the leading battalions in the battle on 1st September where their commander, Lt. 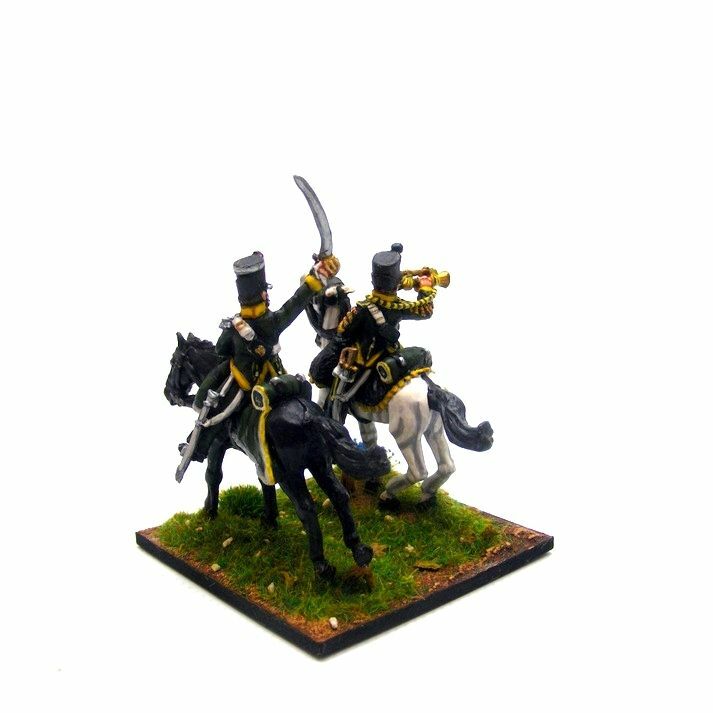 Colonel Brownlow, was killed. 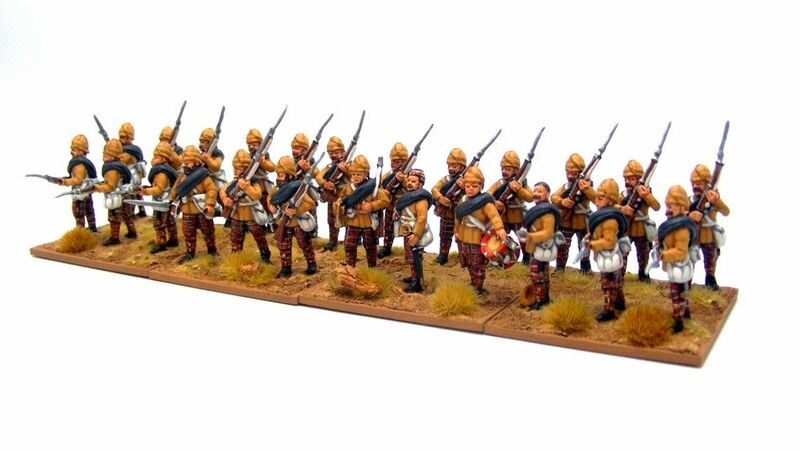 The regiment left Kandahar on 15th September, eventually reaching Sibi in October, and then moving on to Mian Mir. 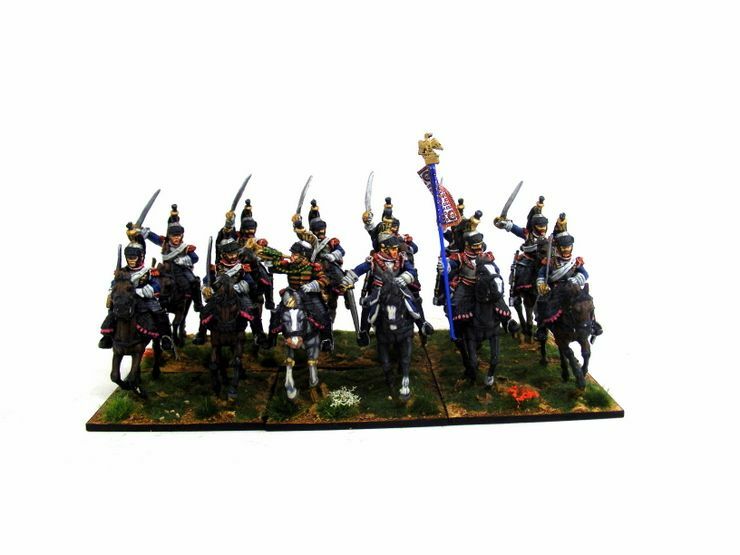 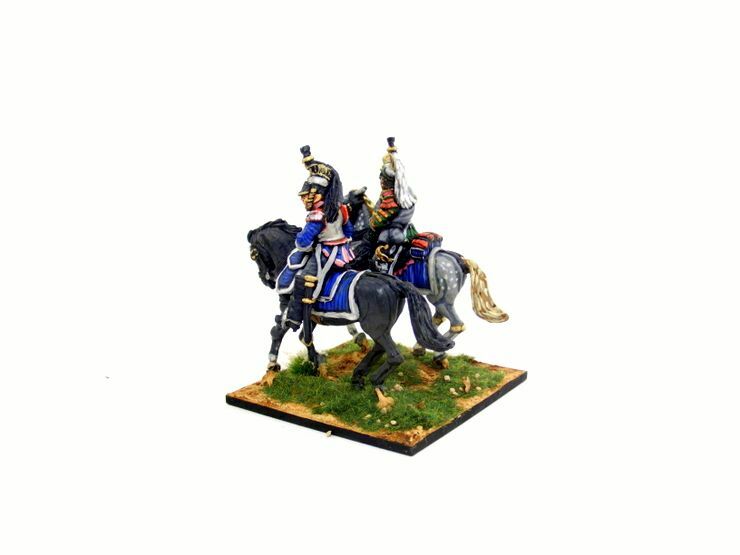 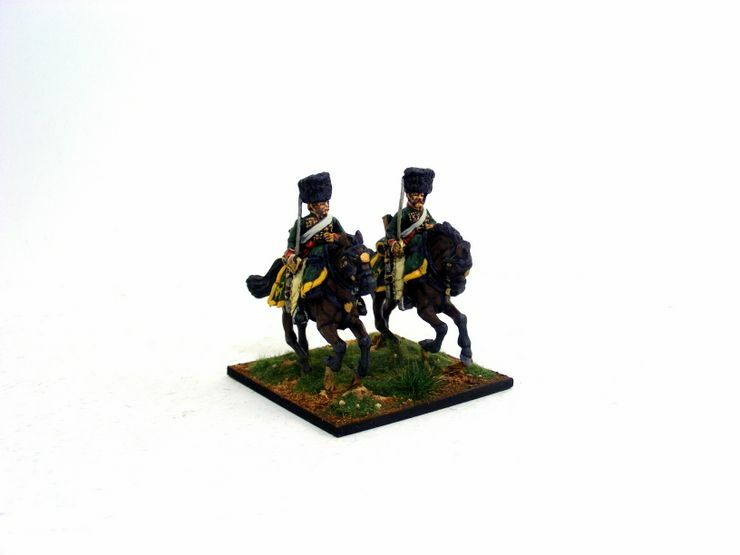 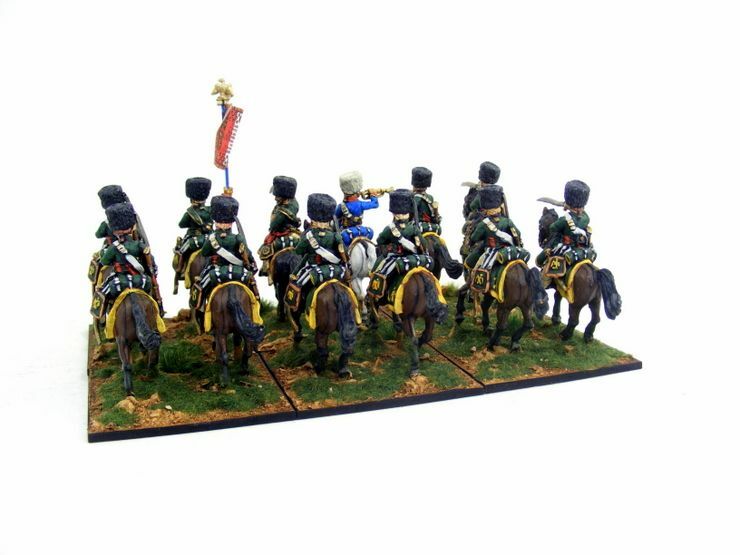 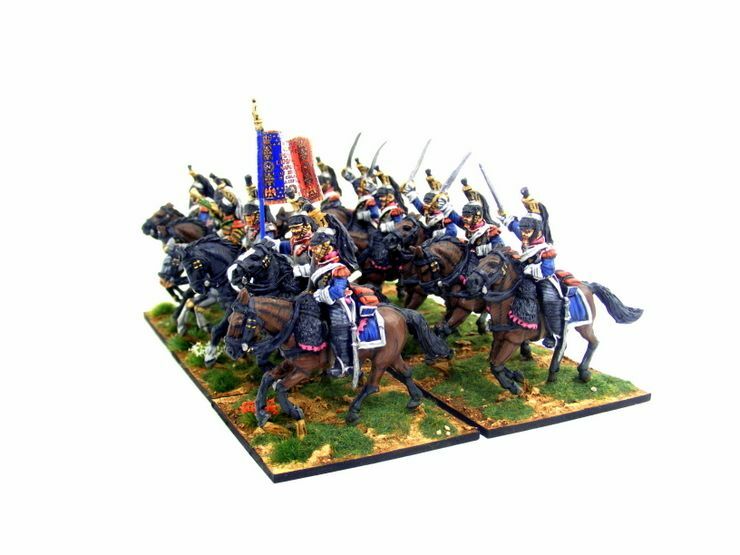 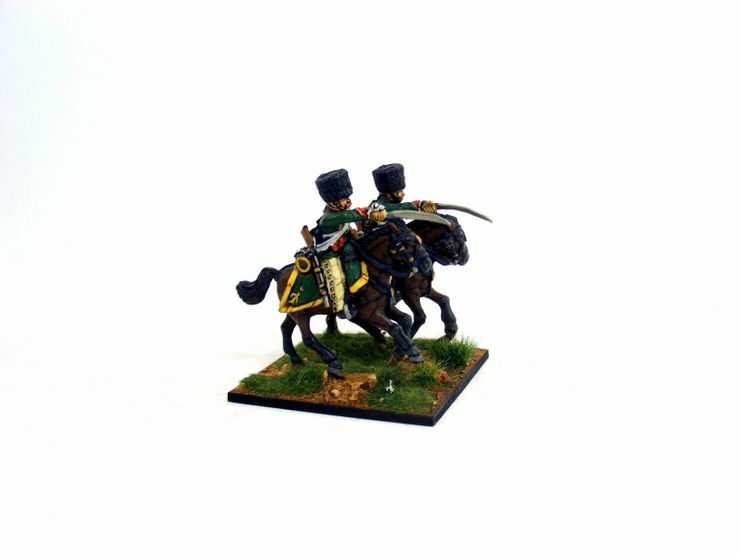 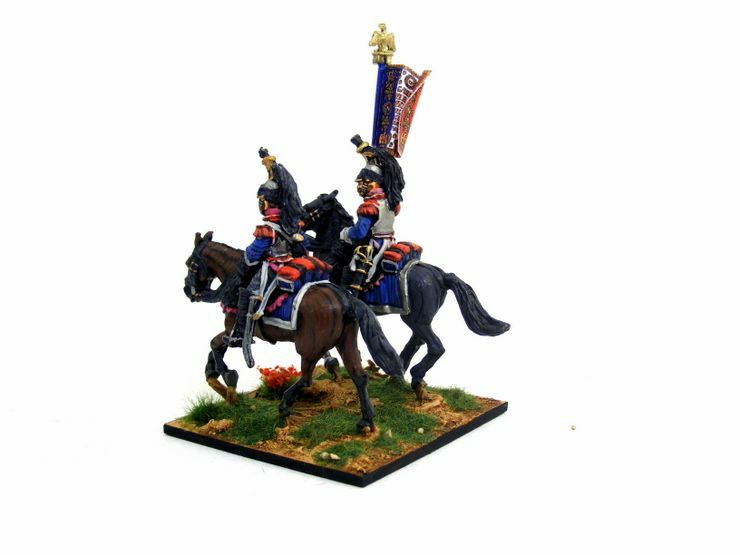 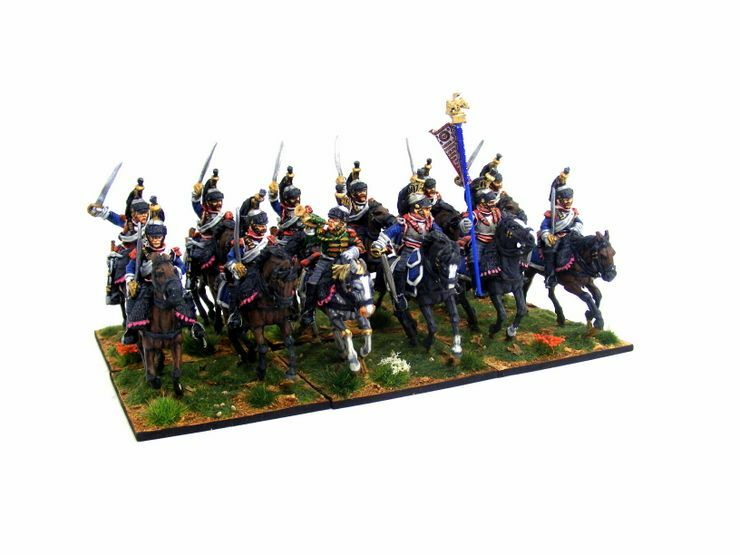 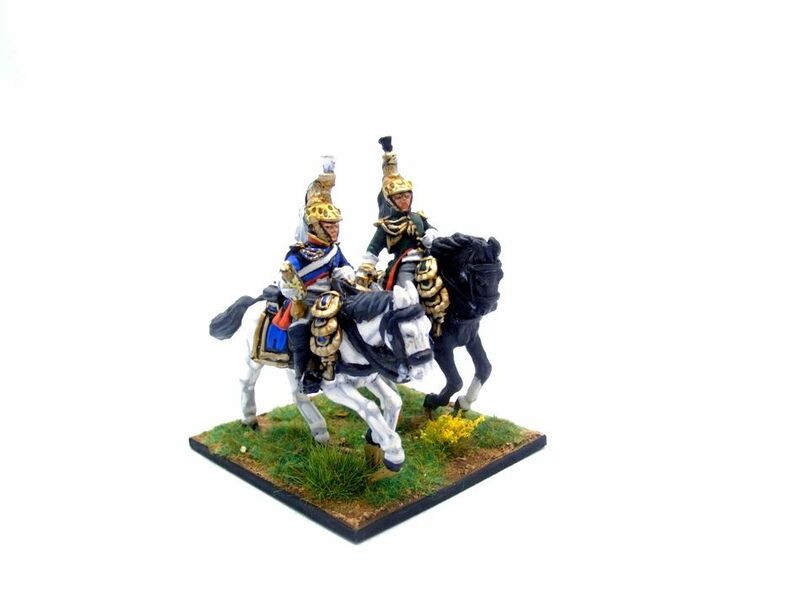 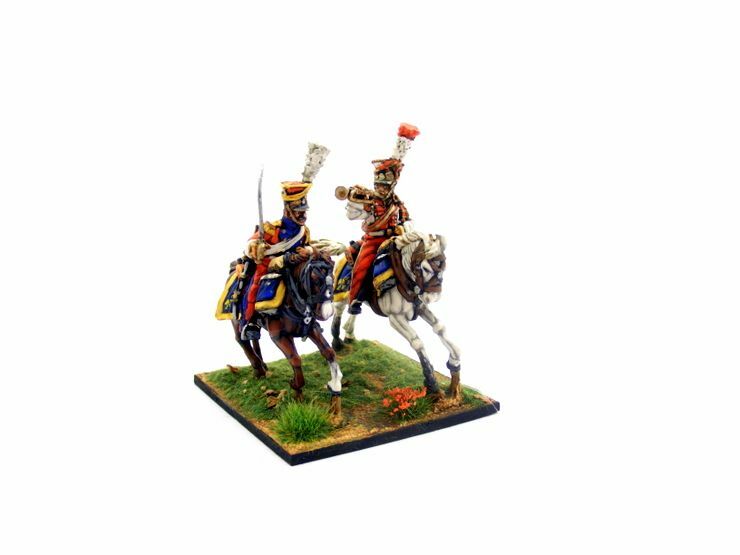 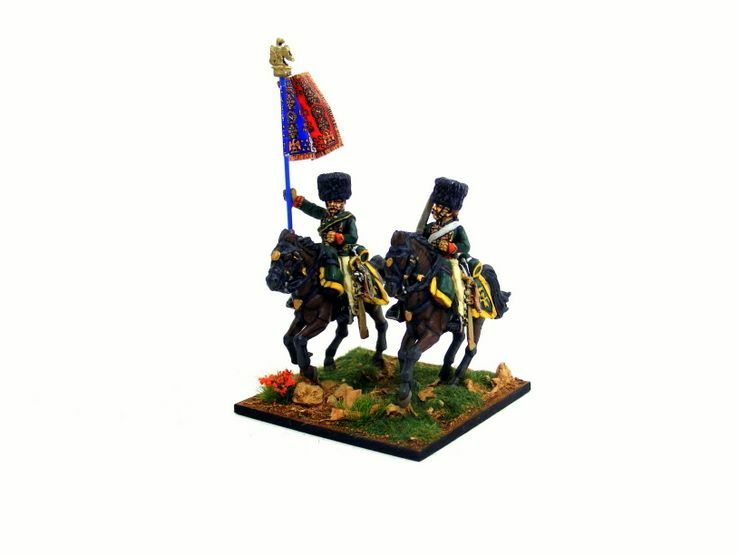 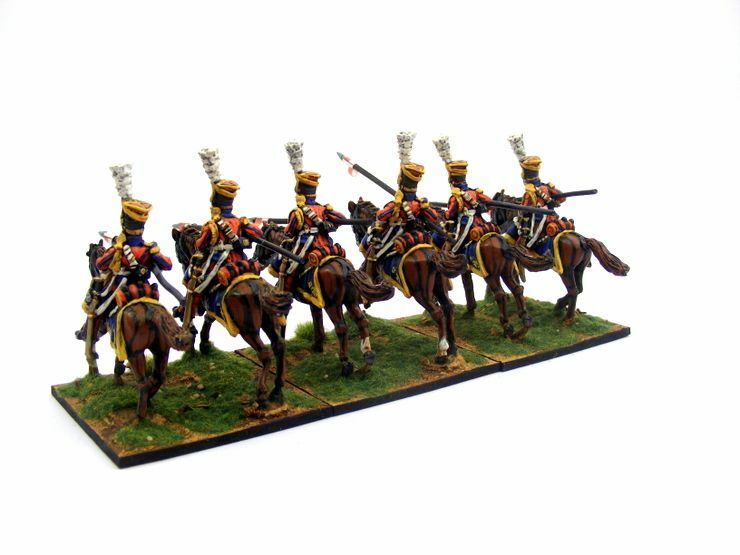 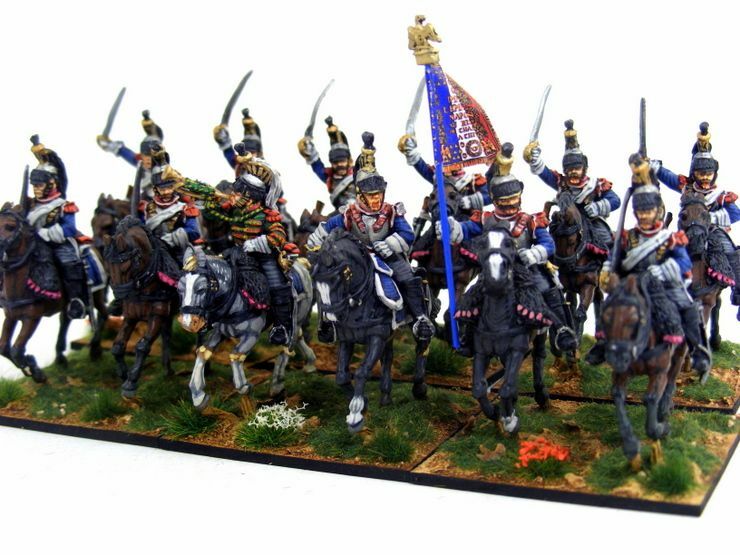 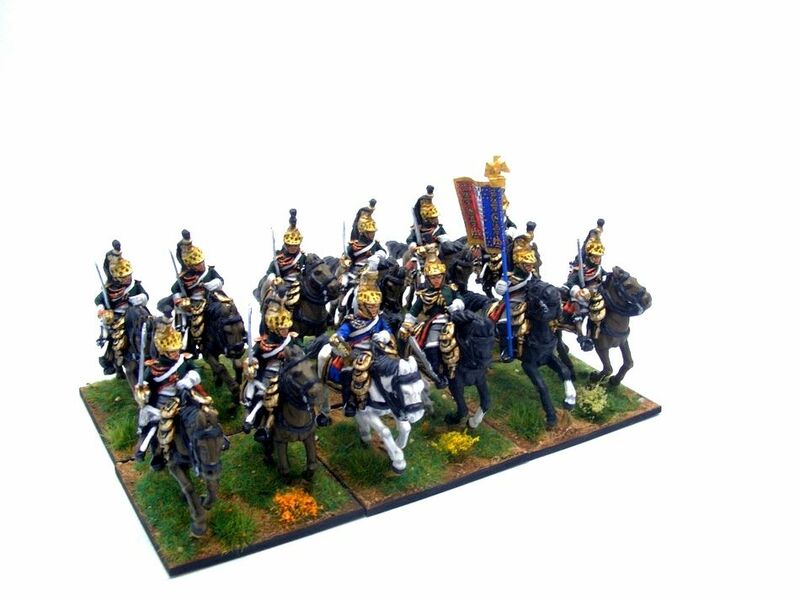 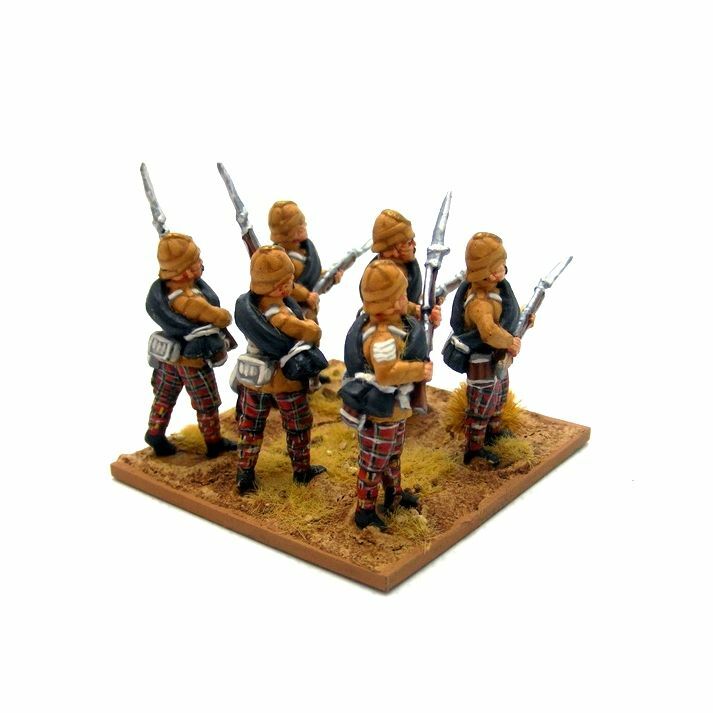 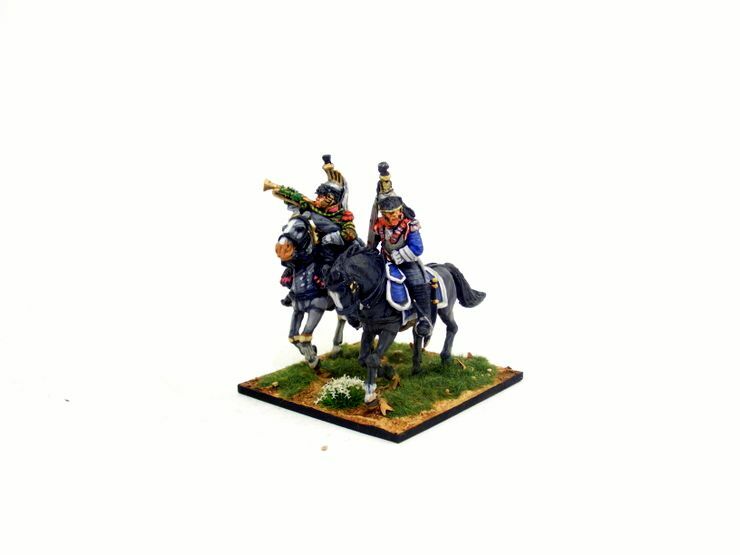 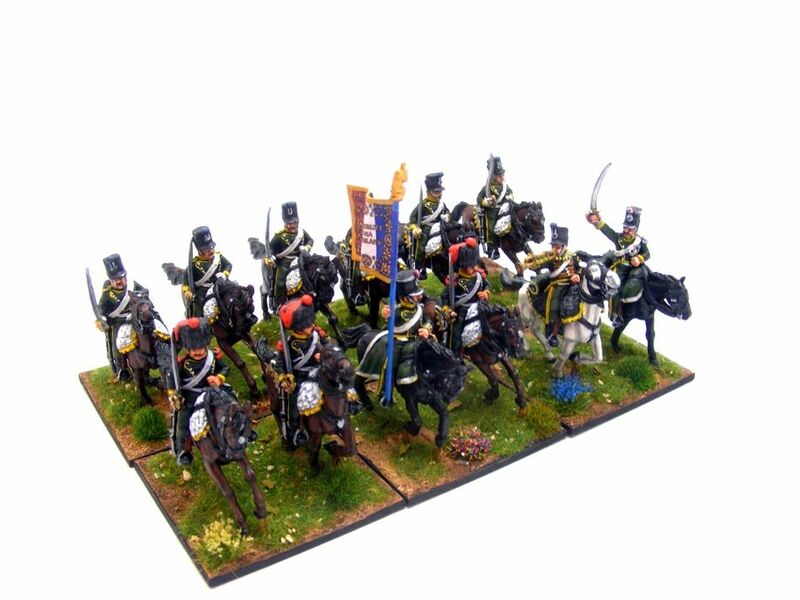 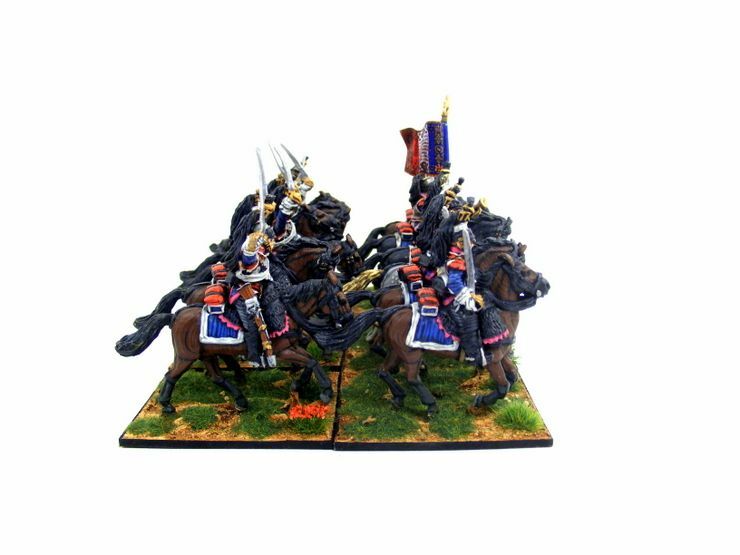 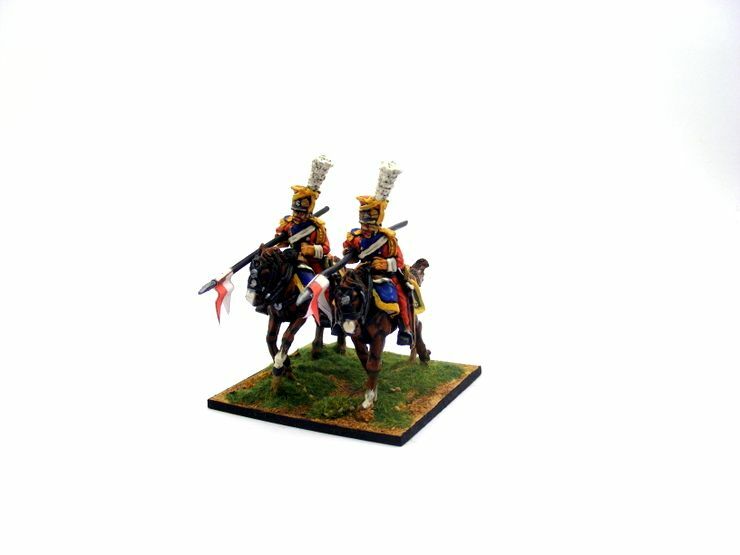 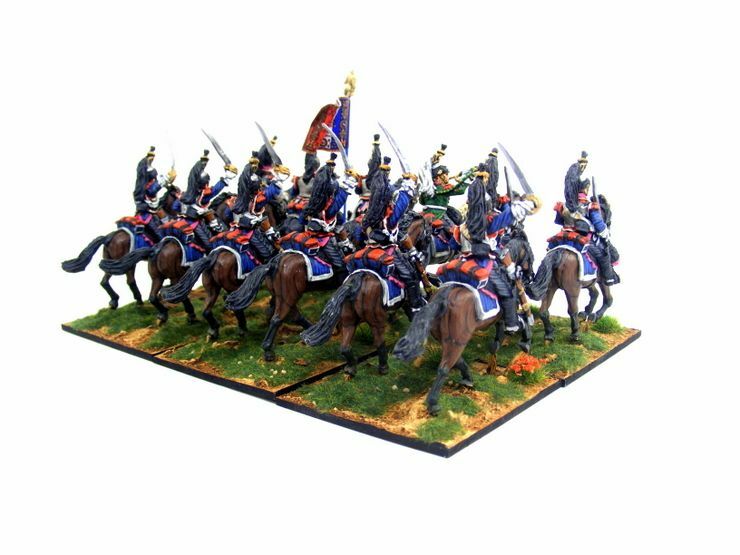 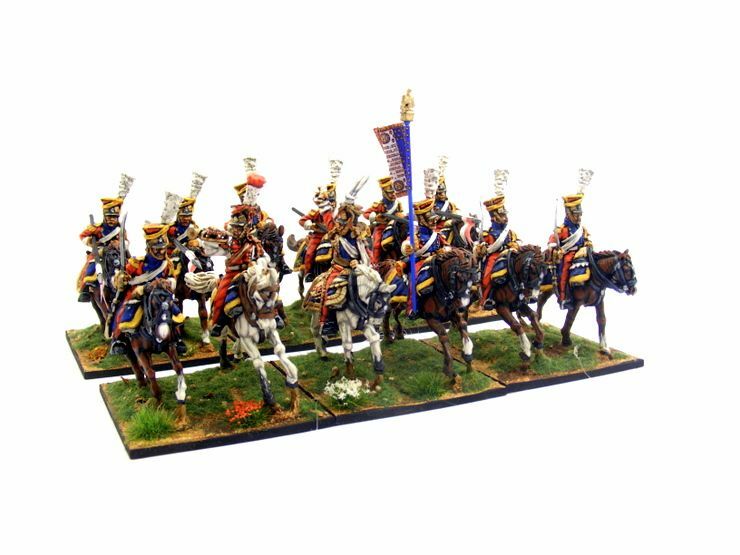 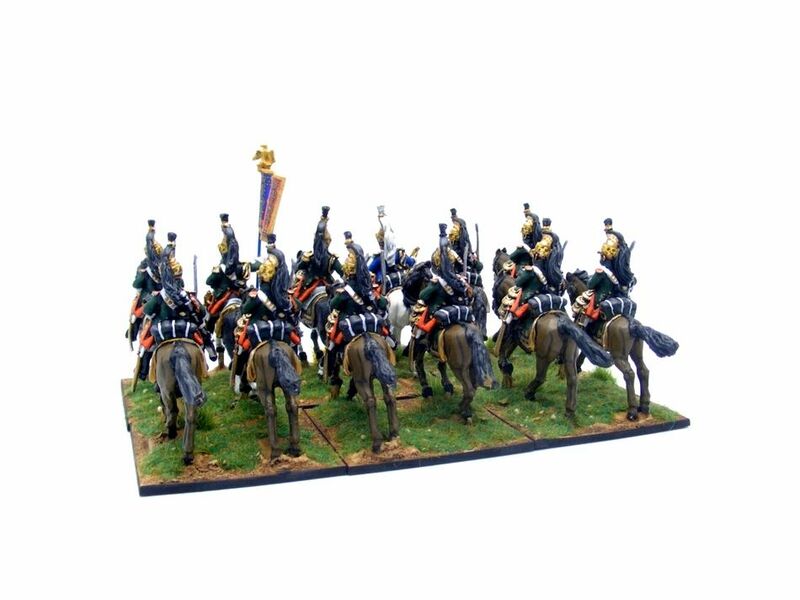 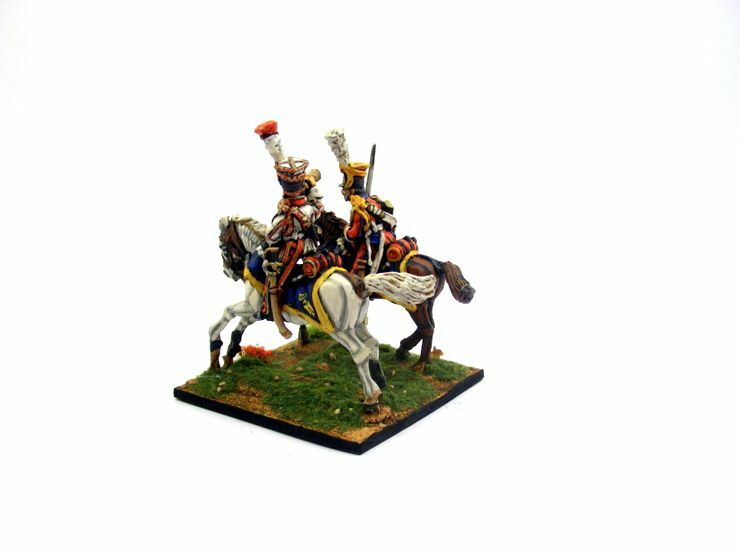 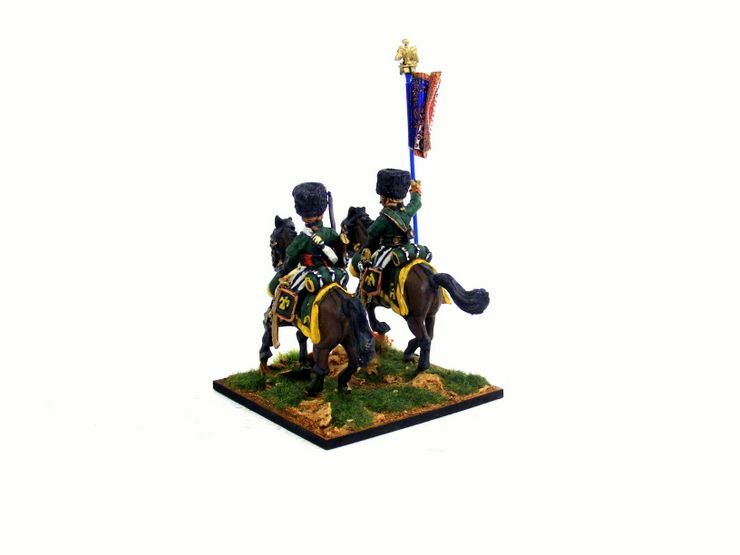 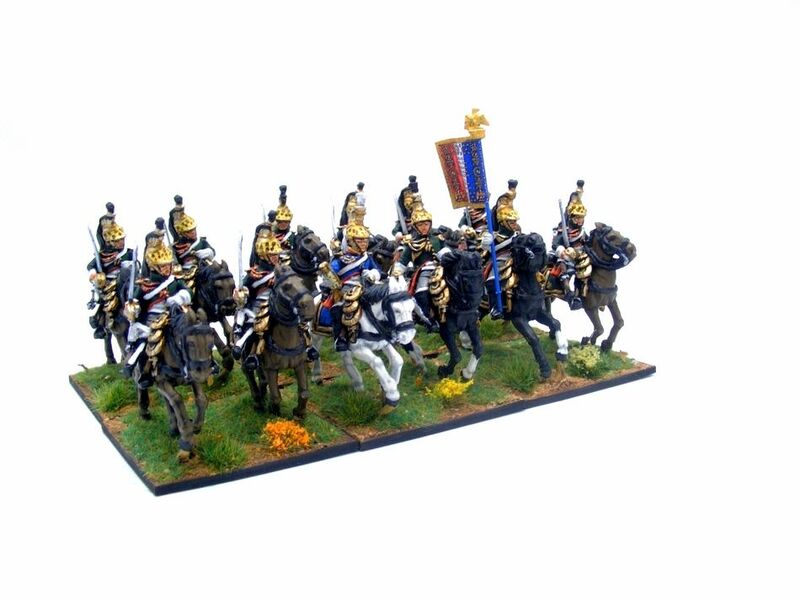 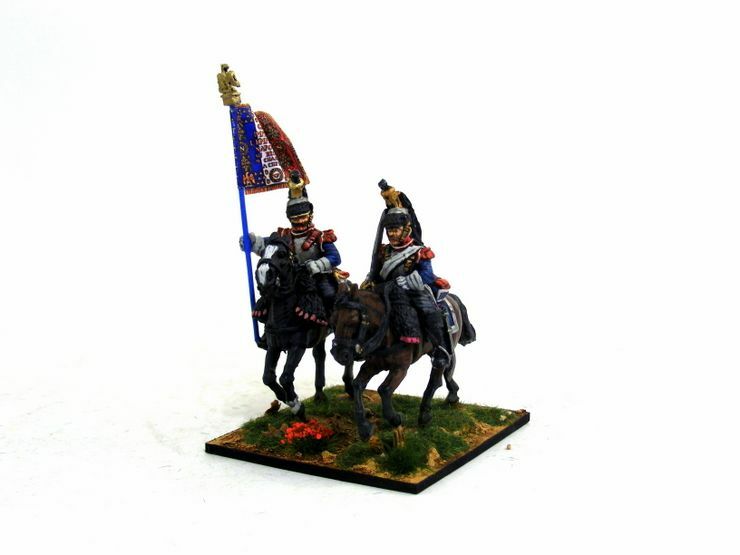 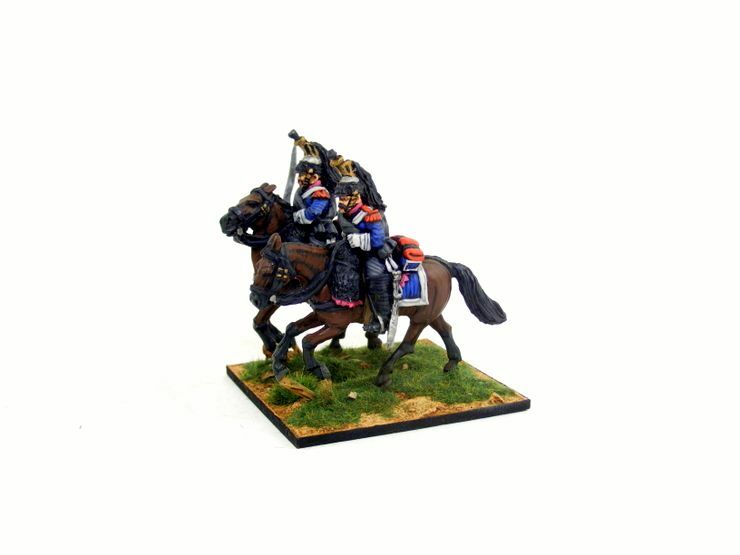 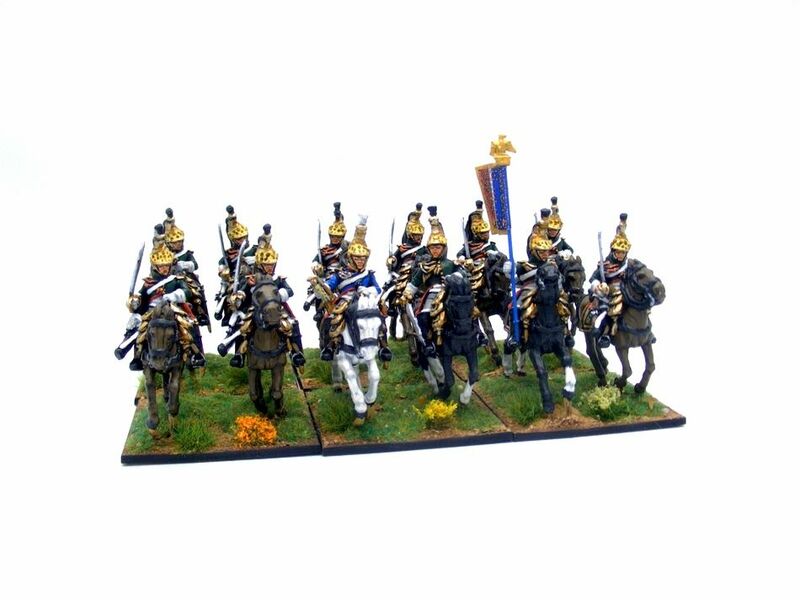 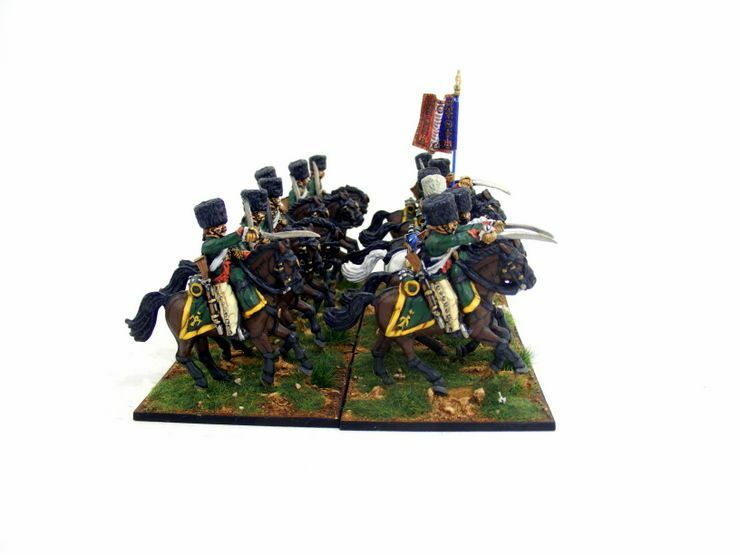 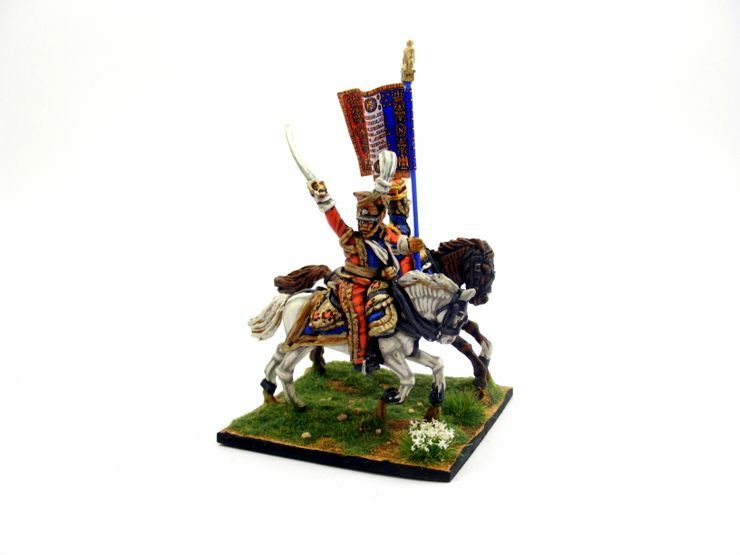 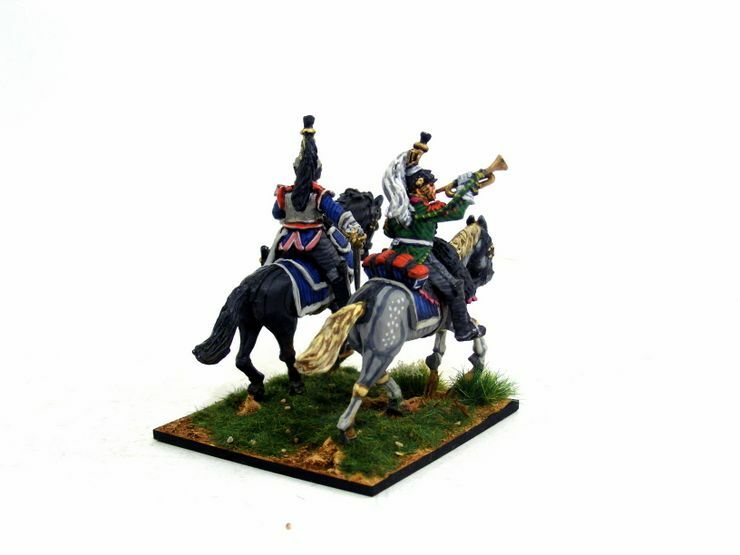 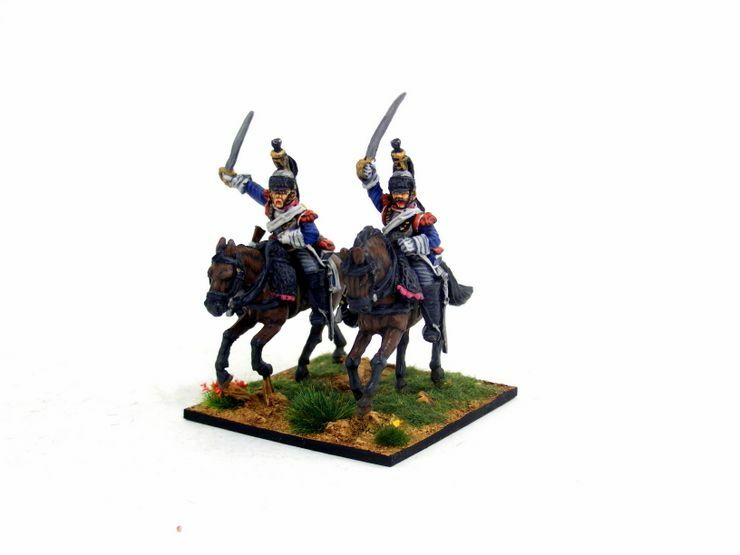 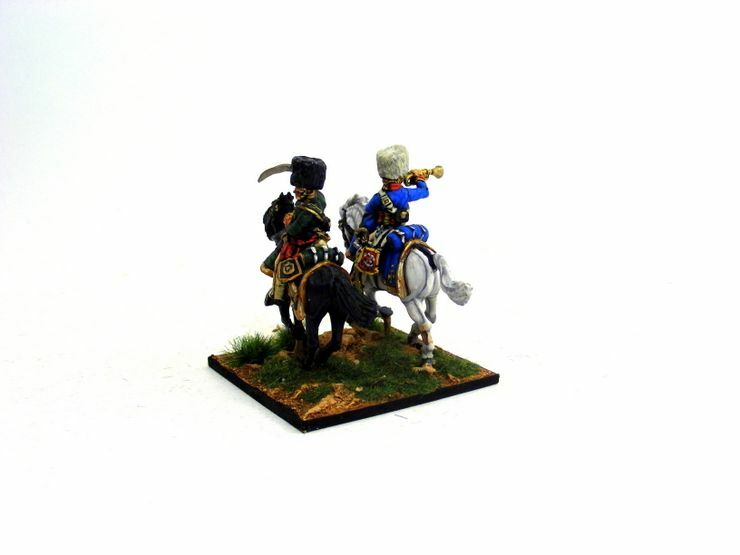 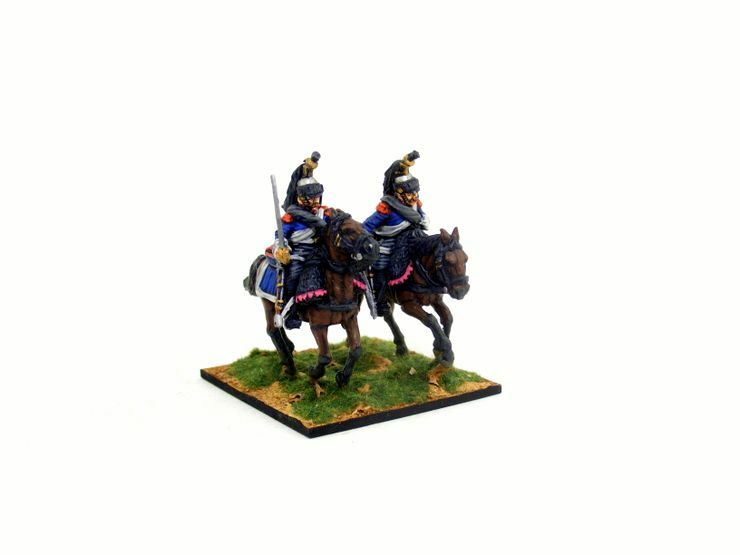 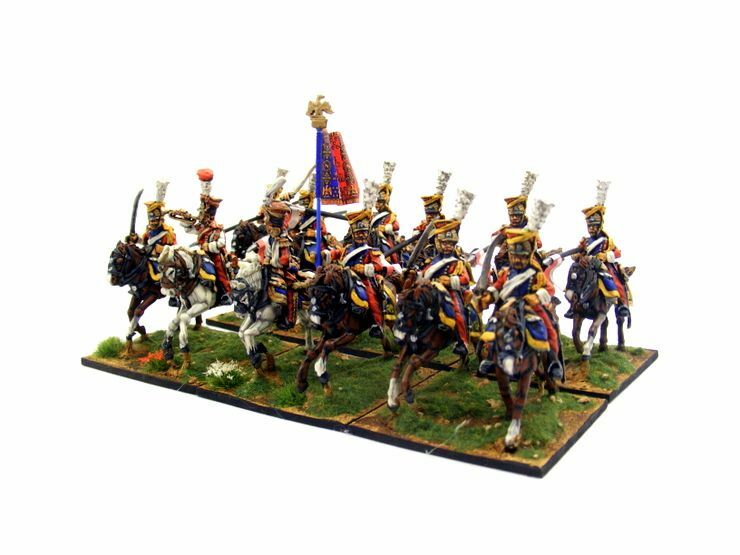 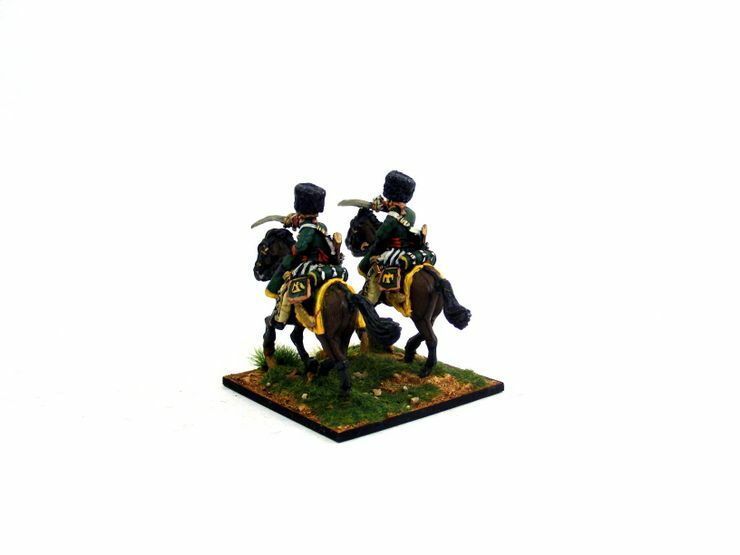 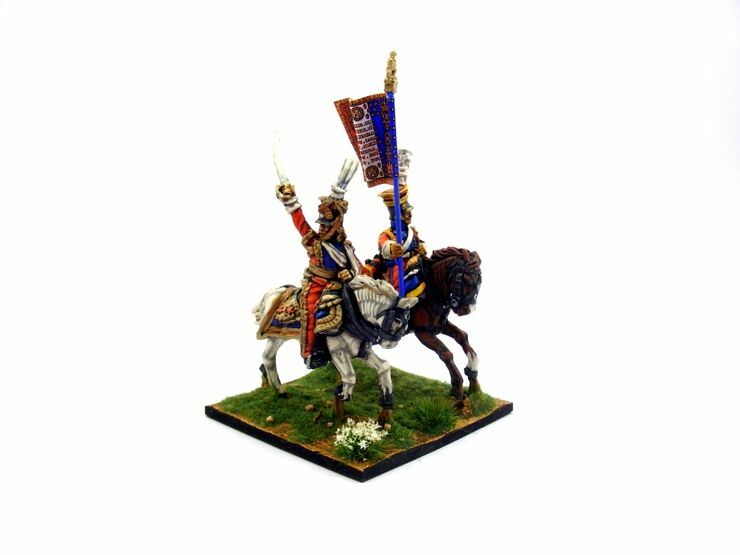 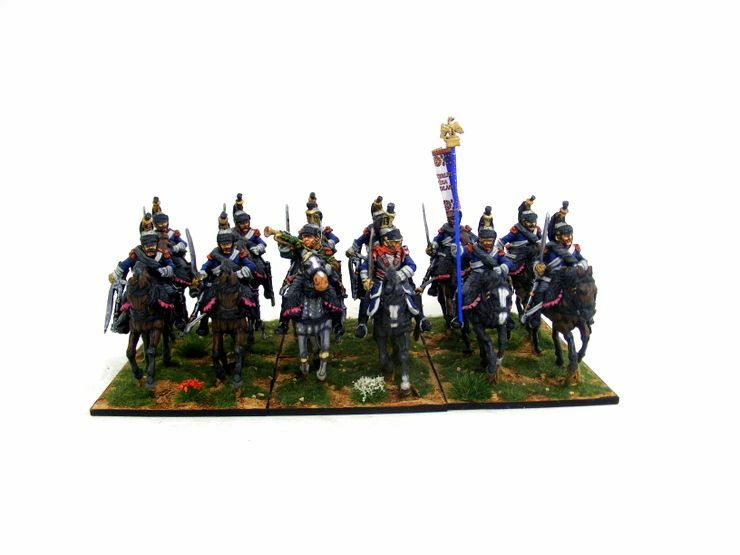 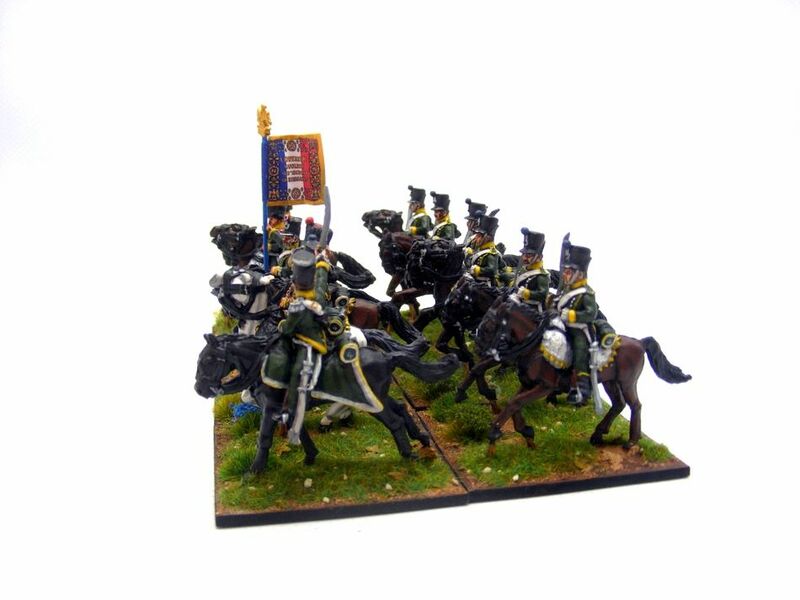 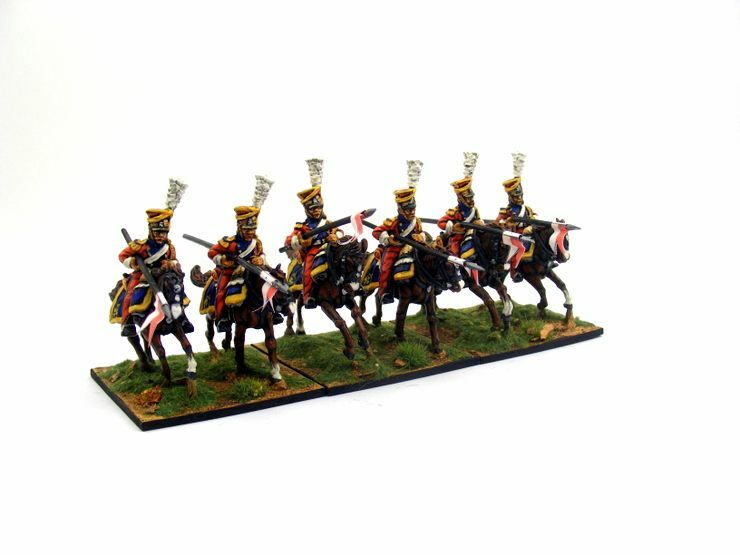 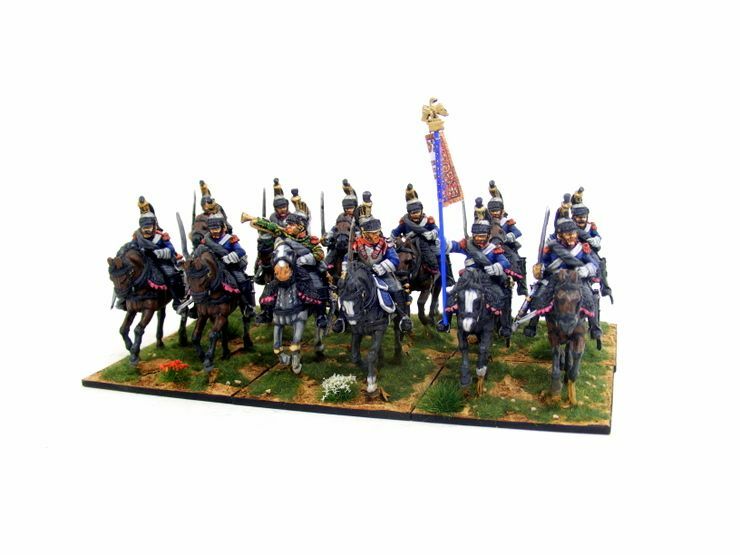 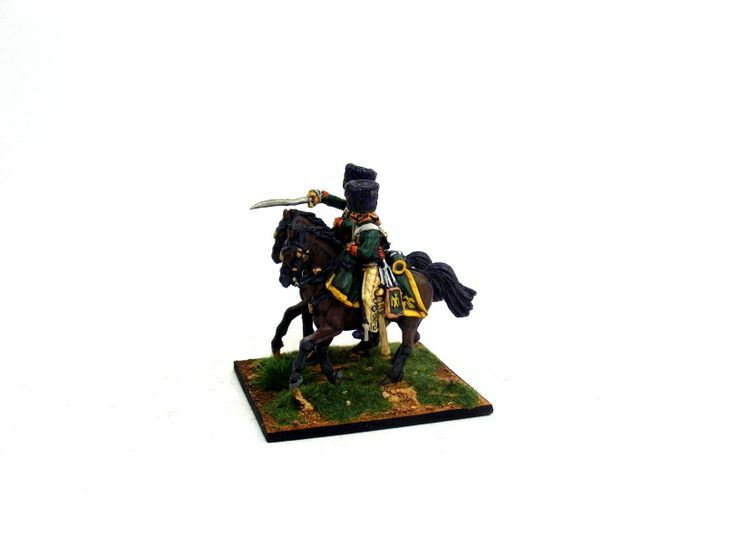 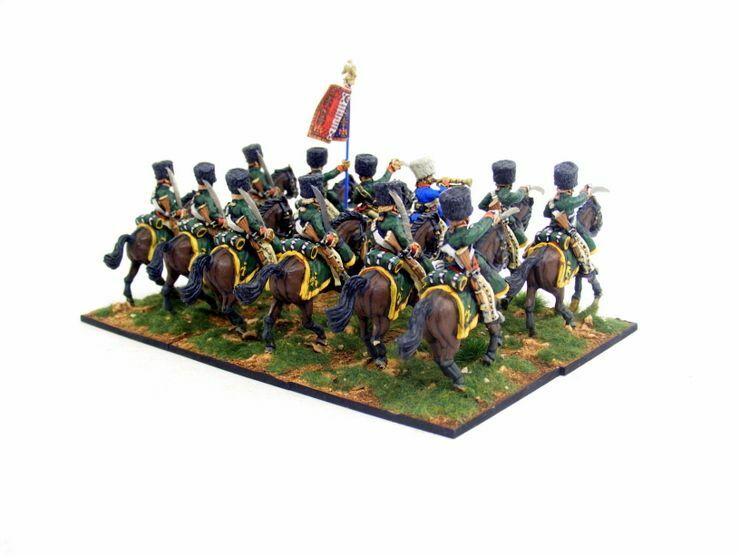 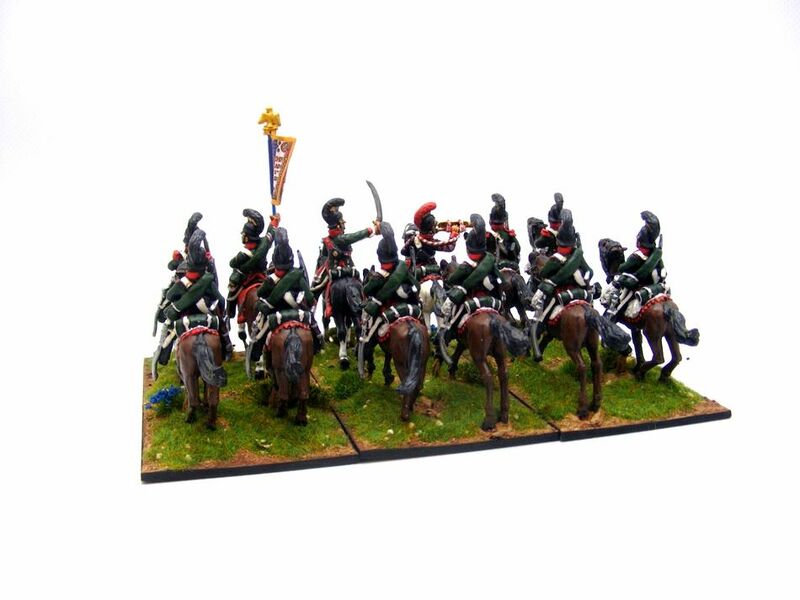 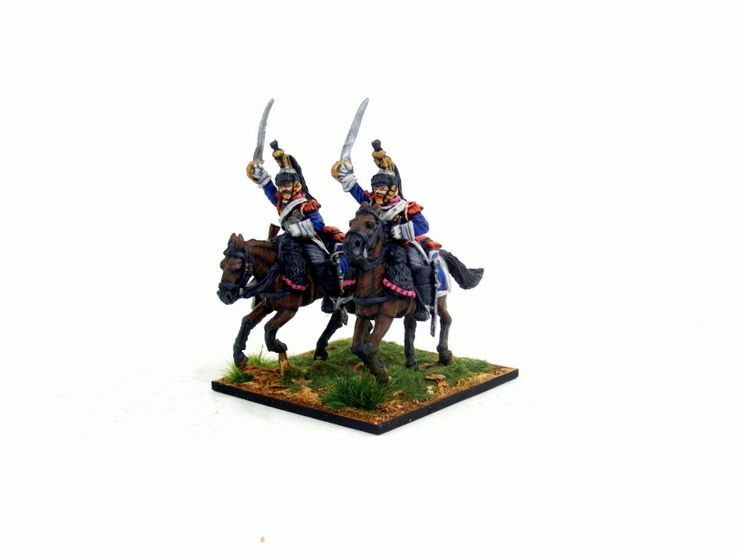 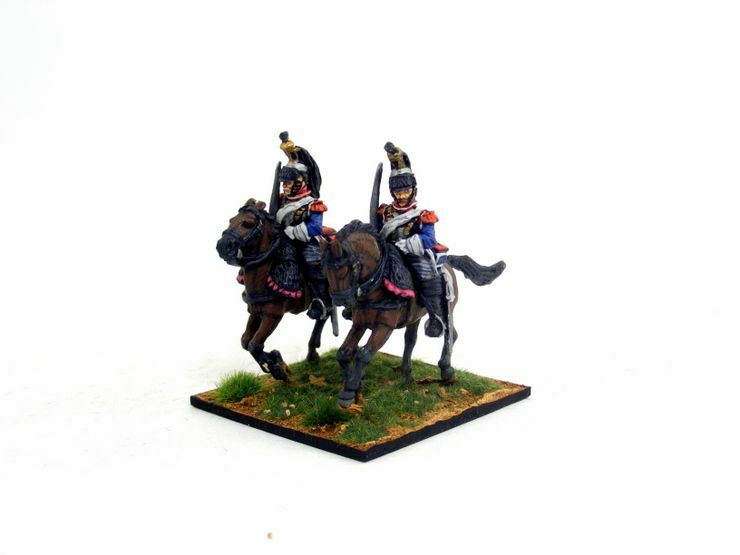 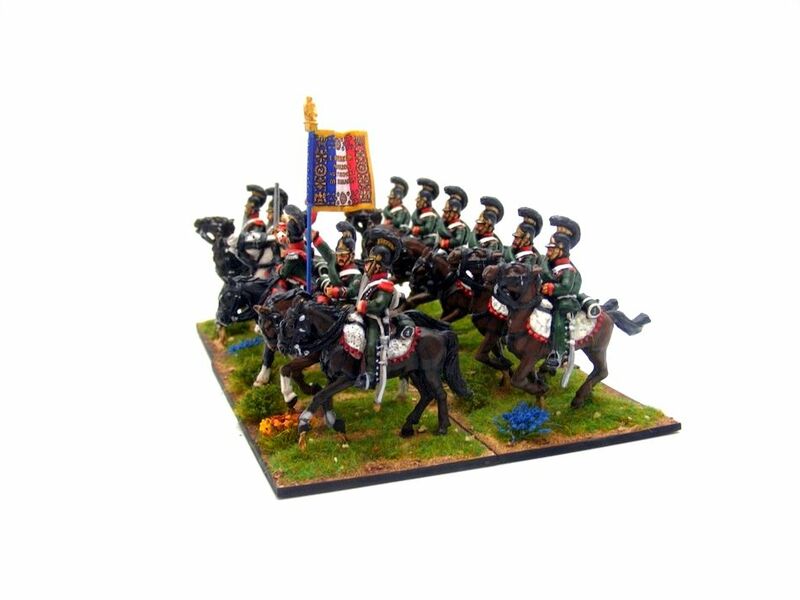 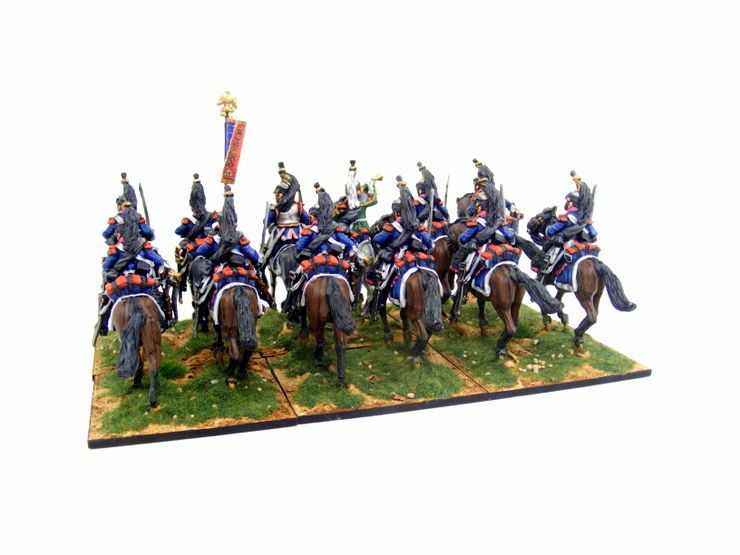 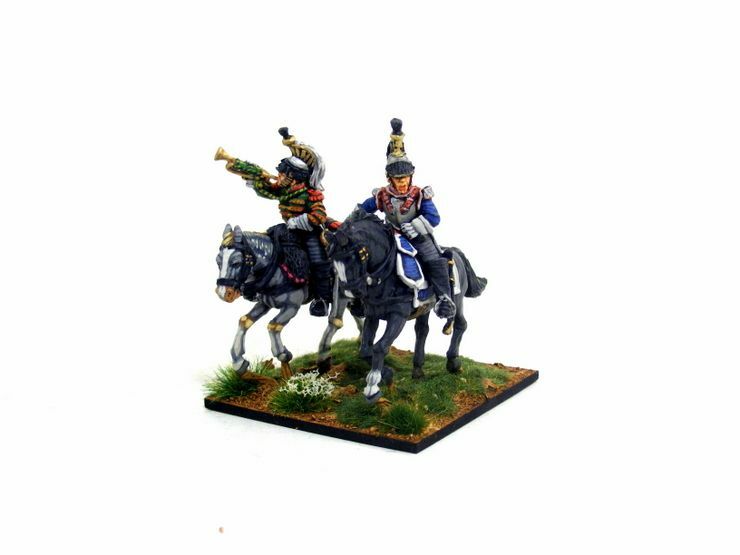 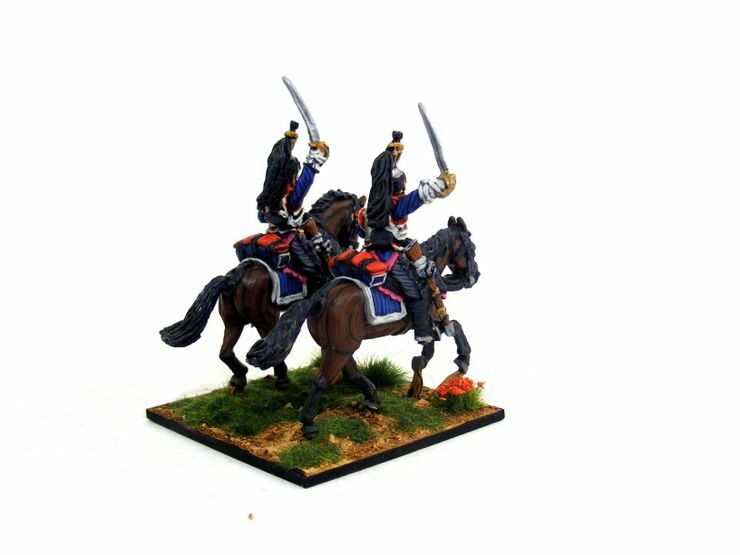 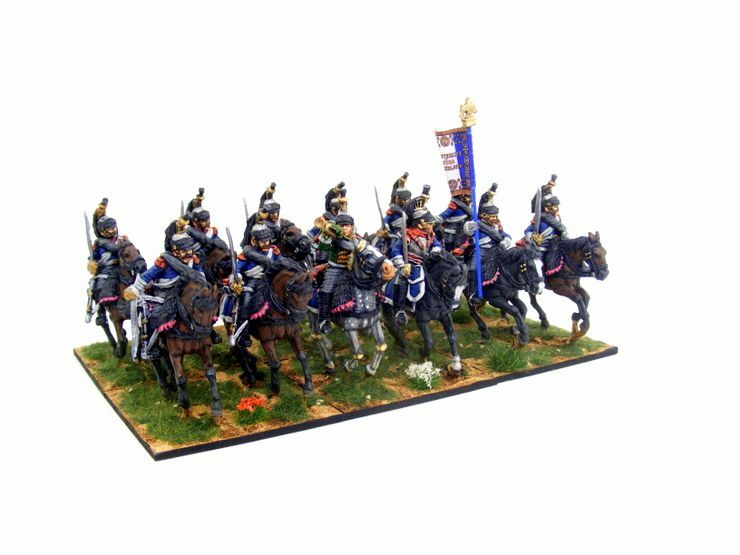 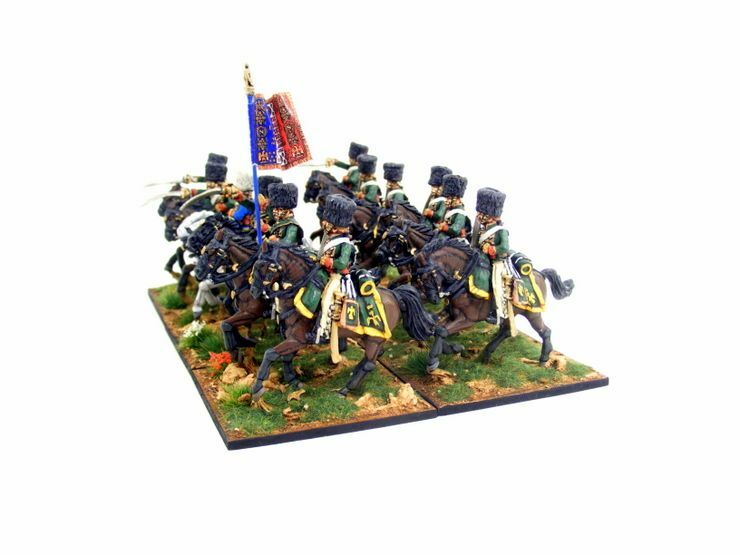 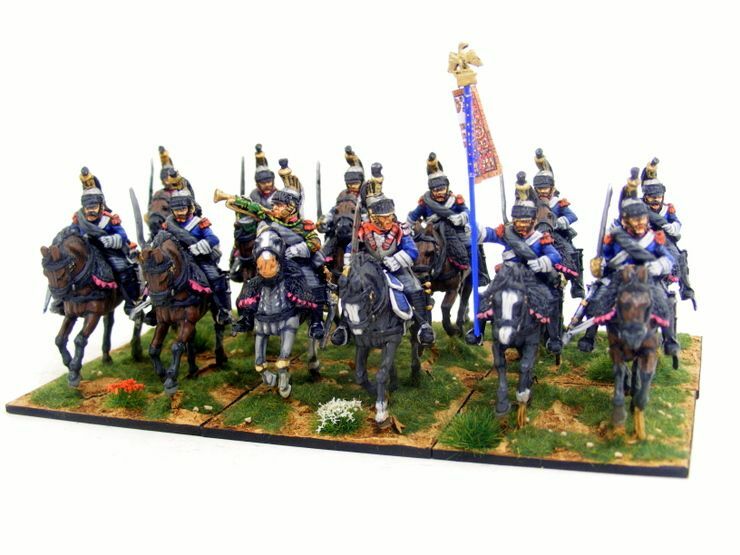 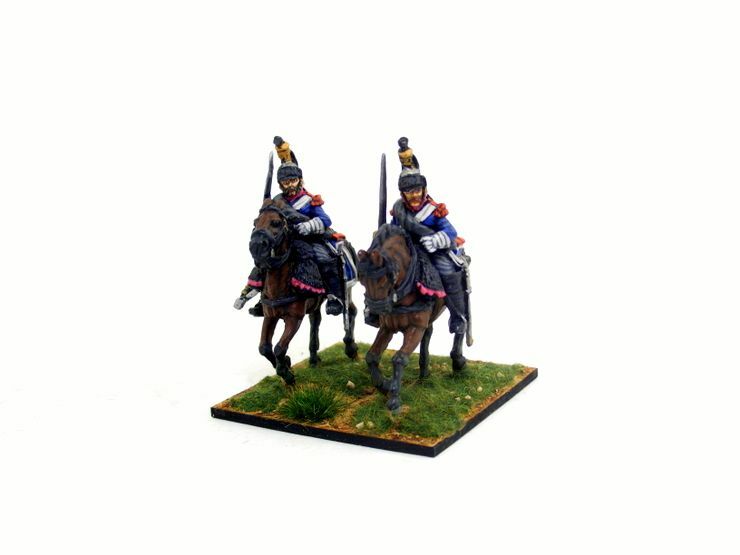 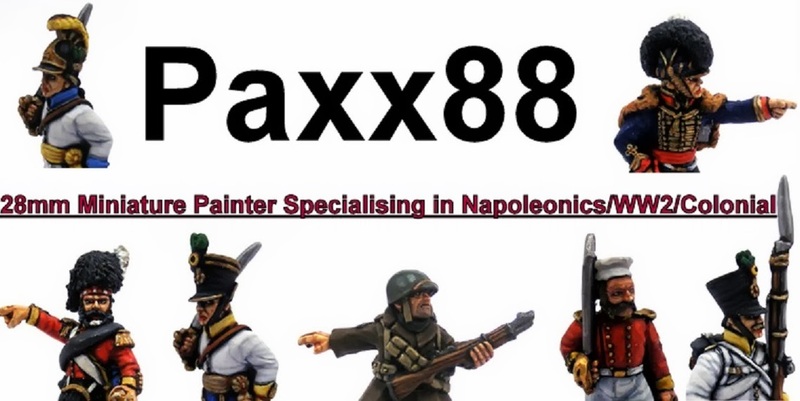 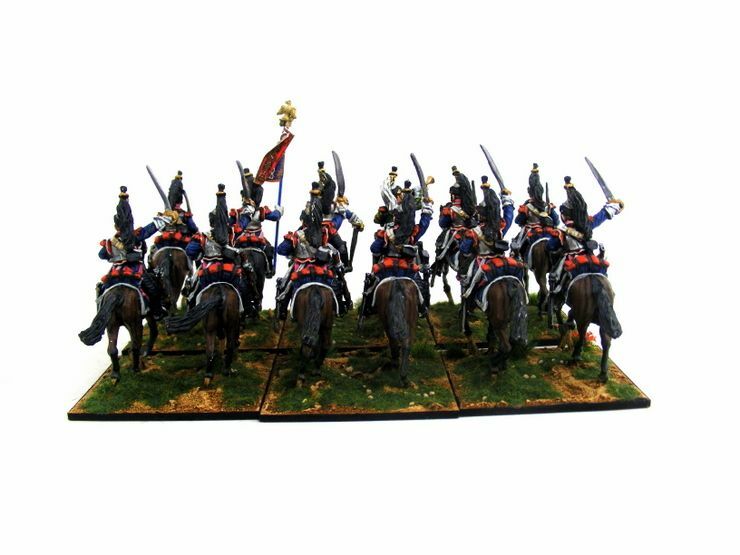 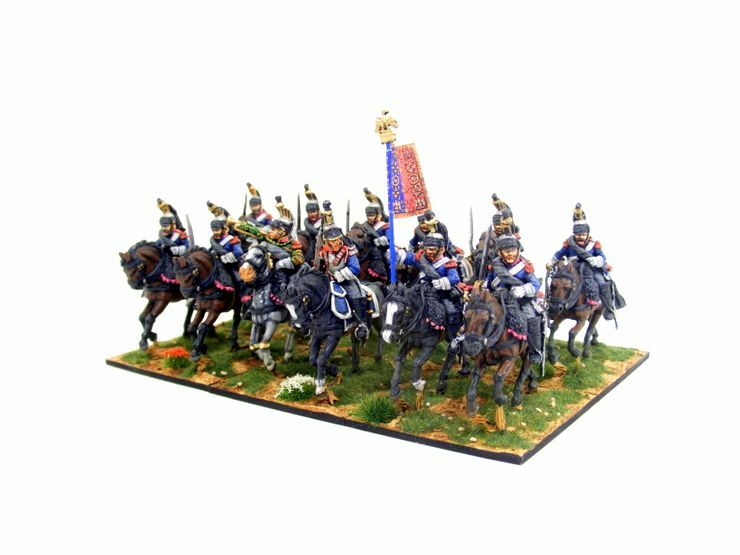 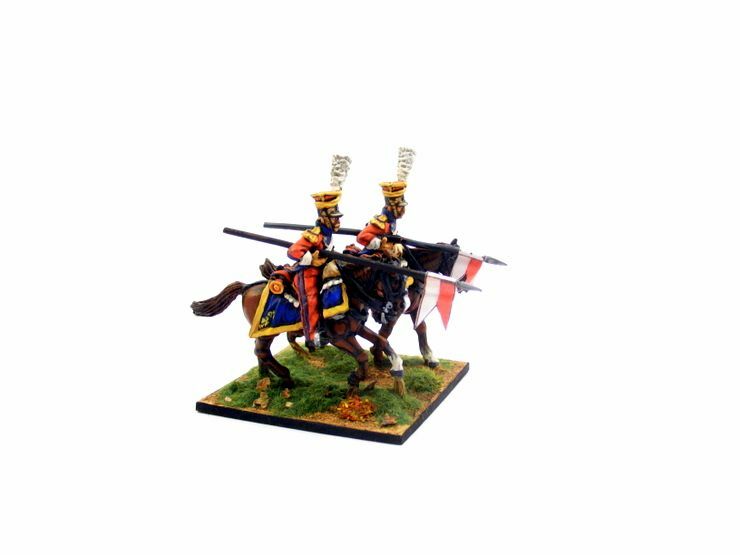 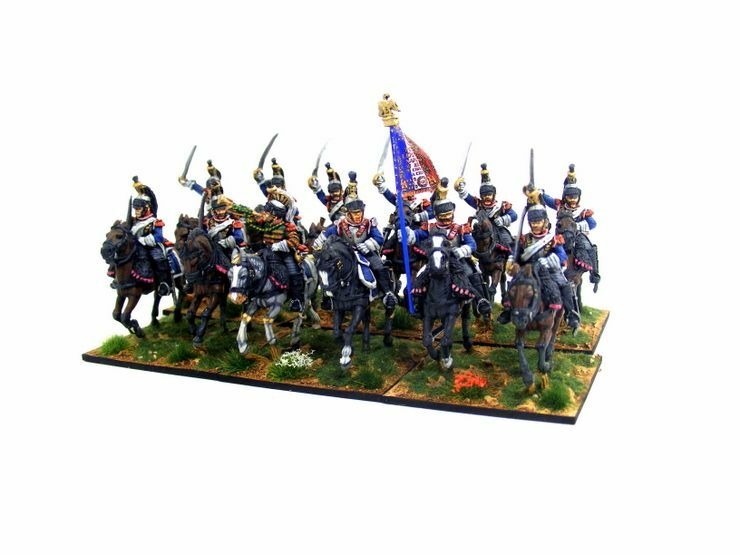 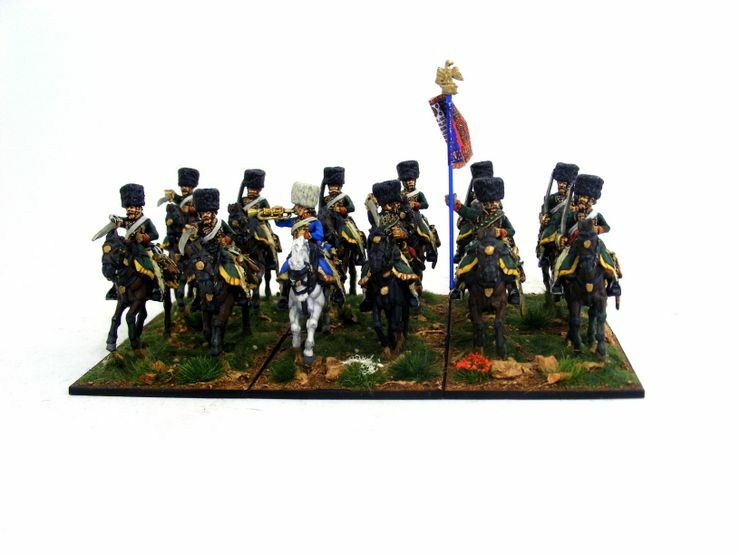 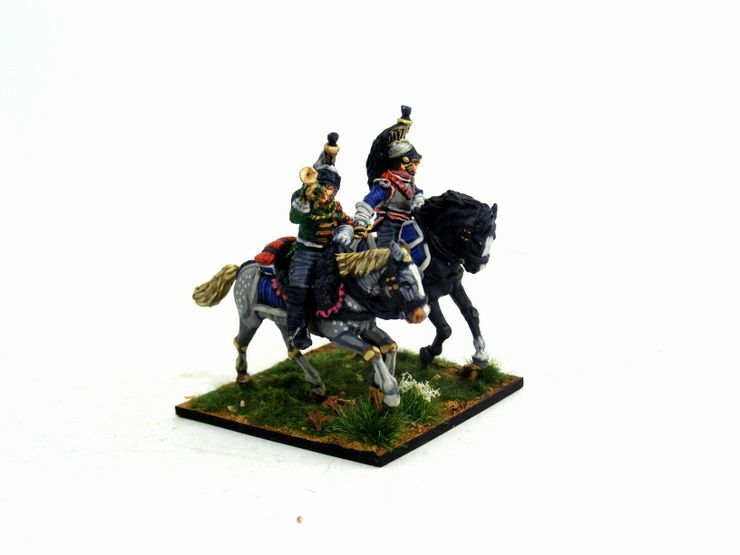 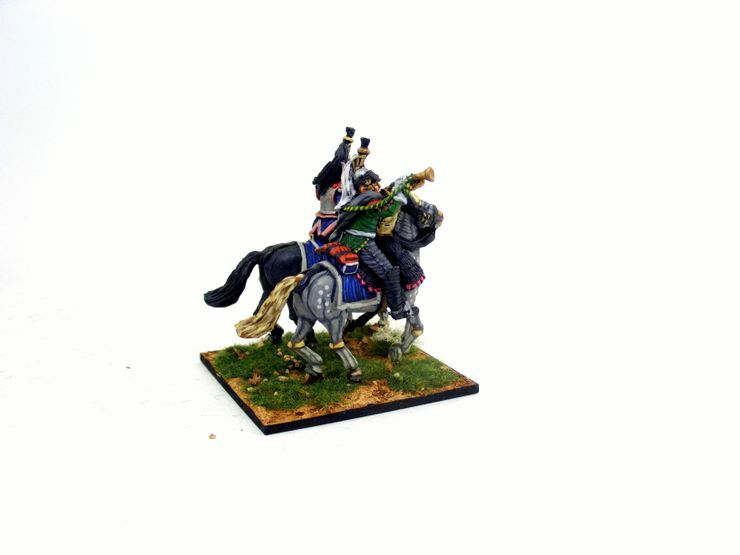 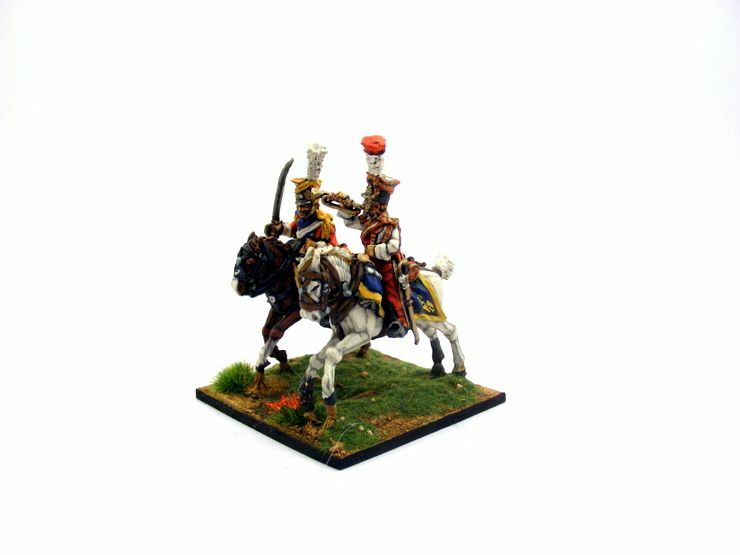 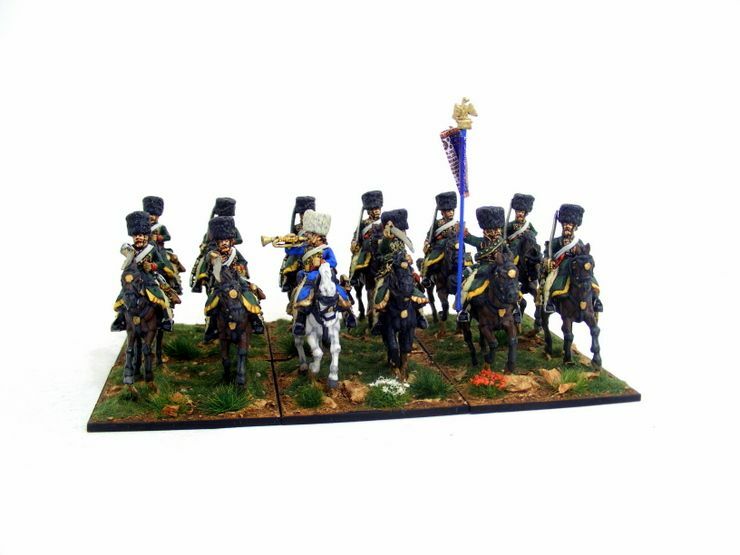 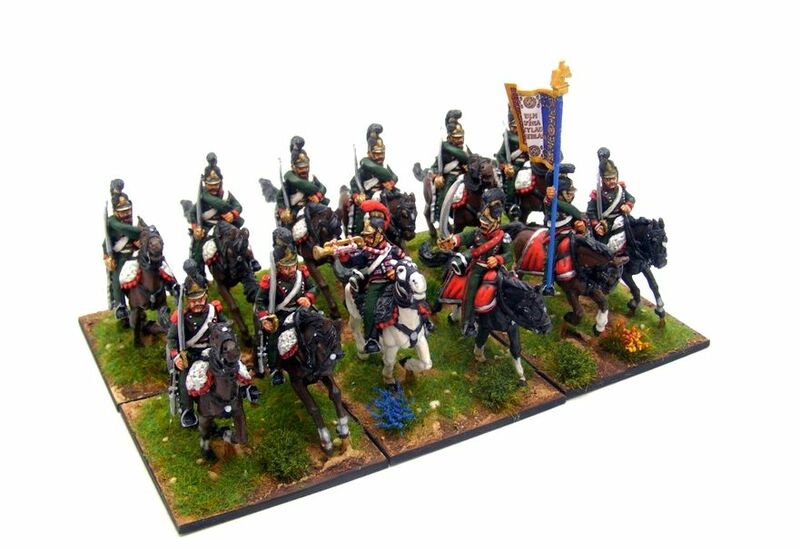 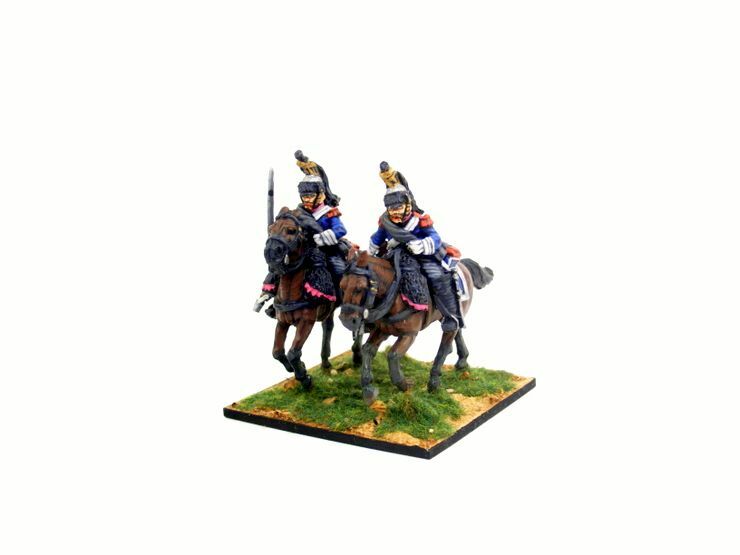 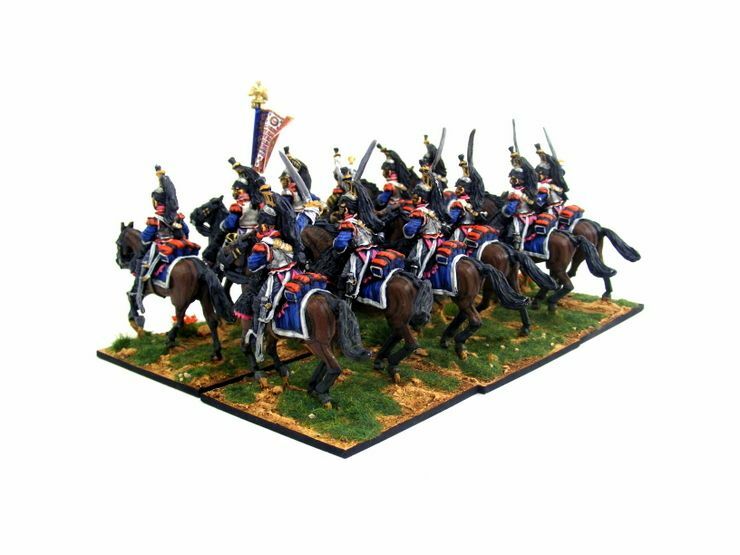 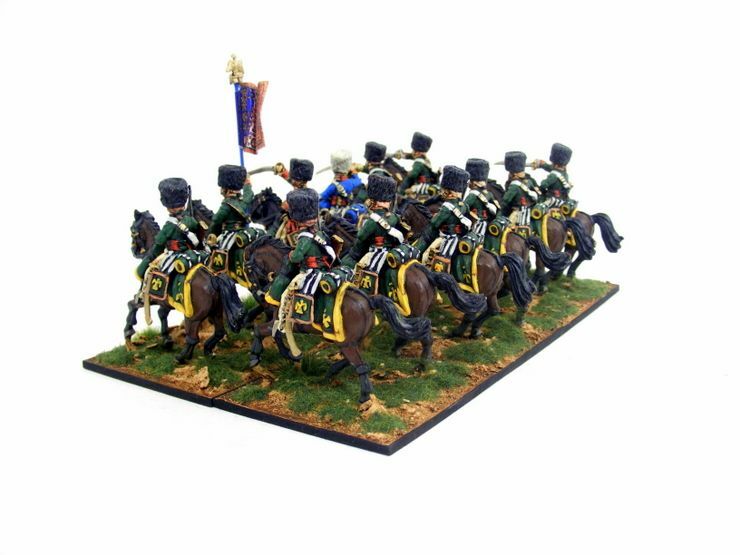 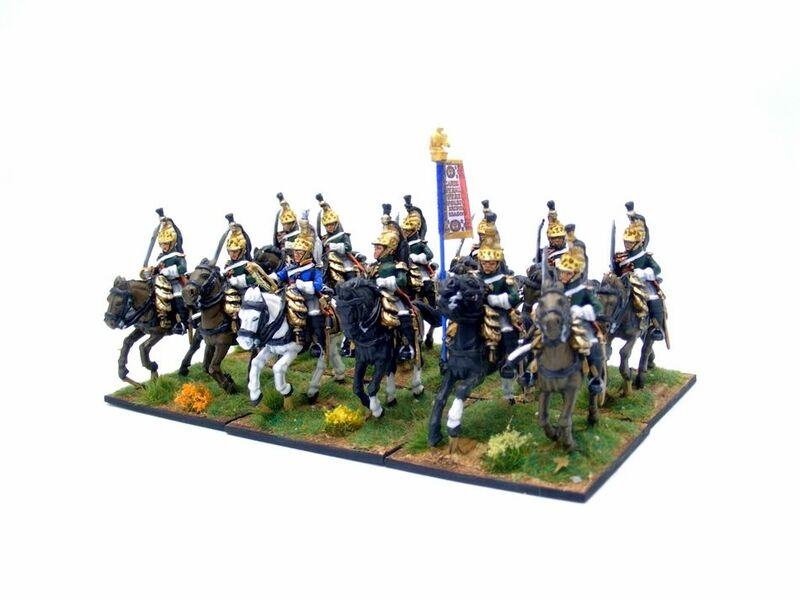 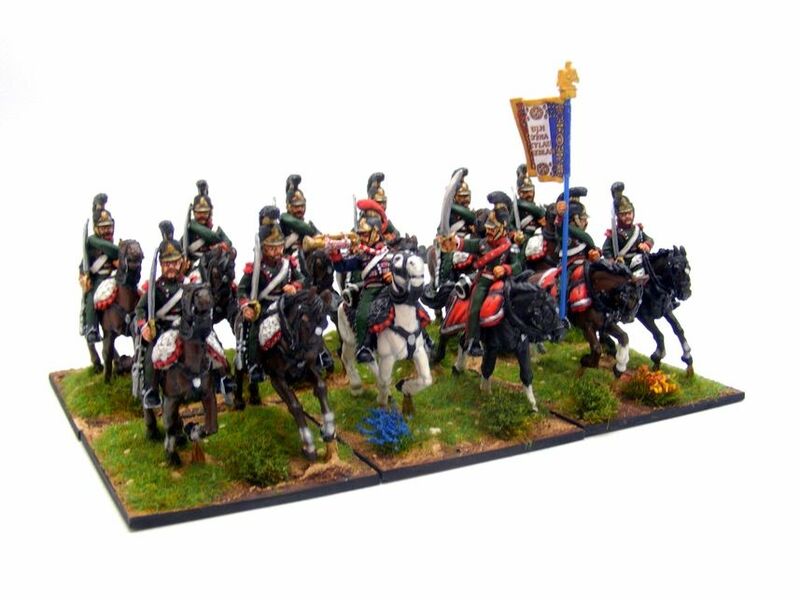 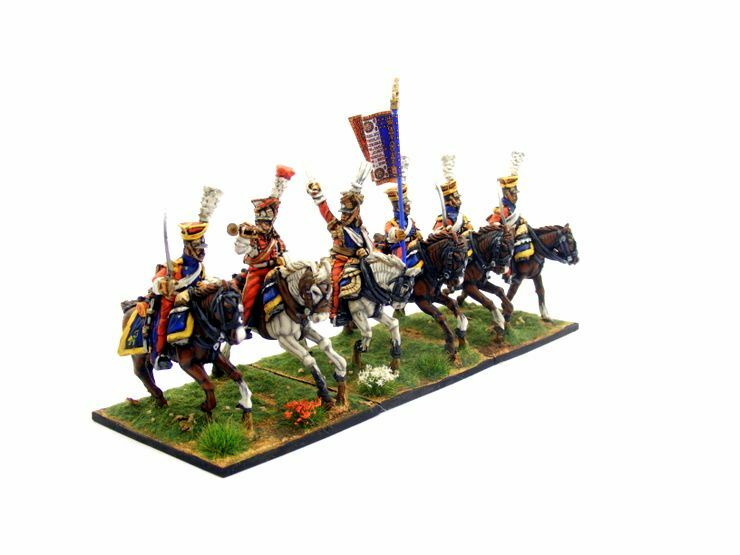 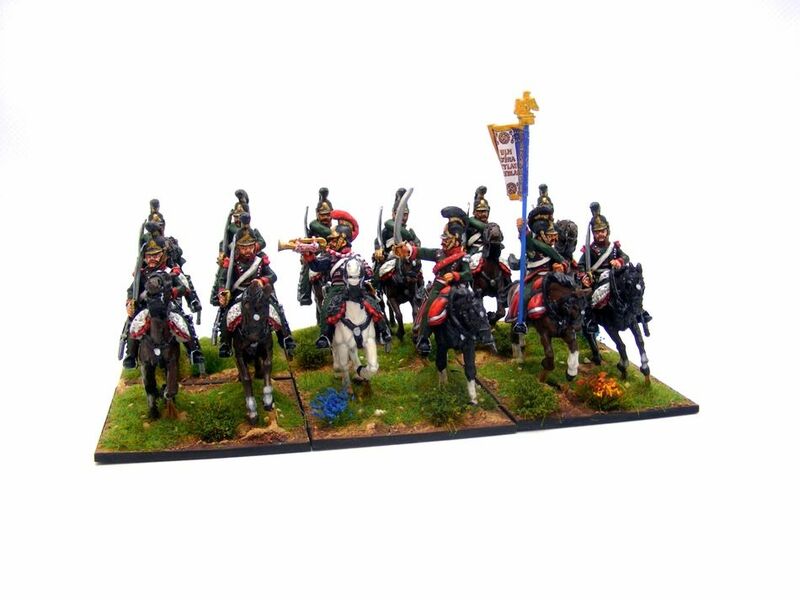 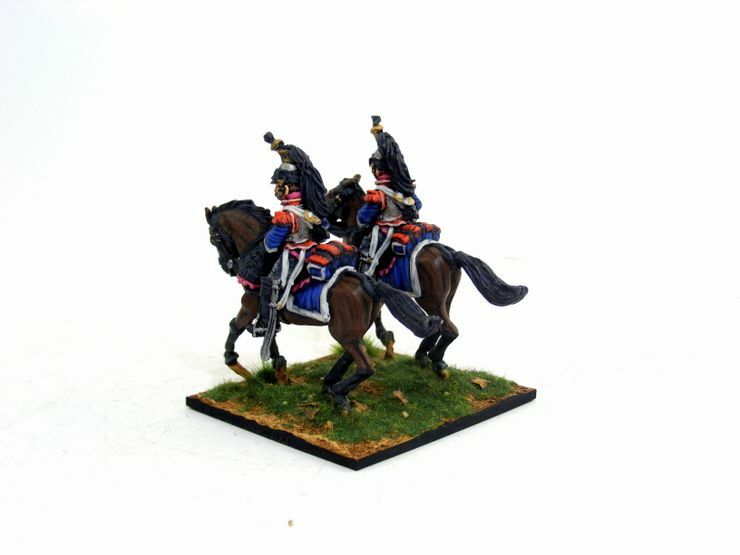 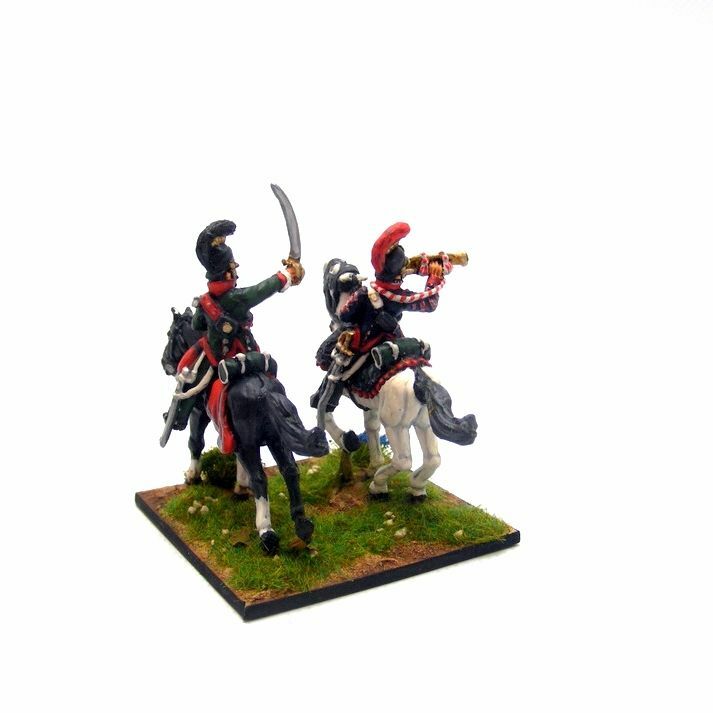 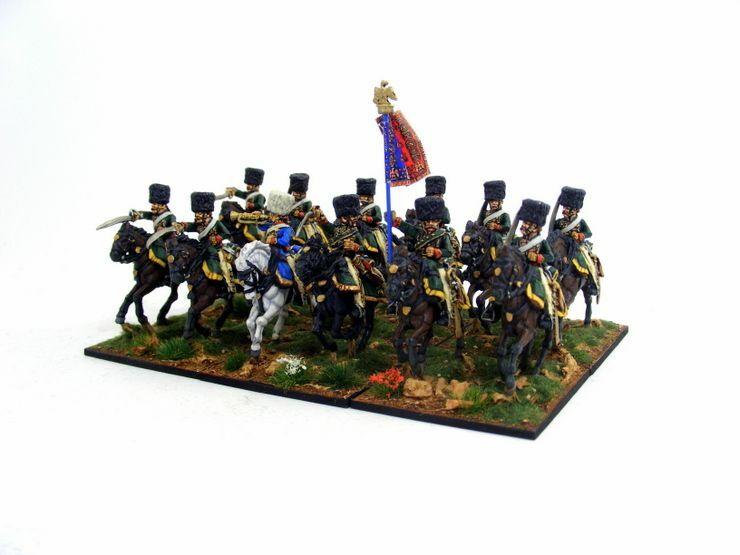 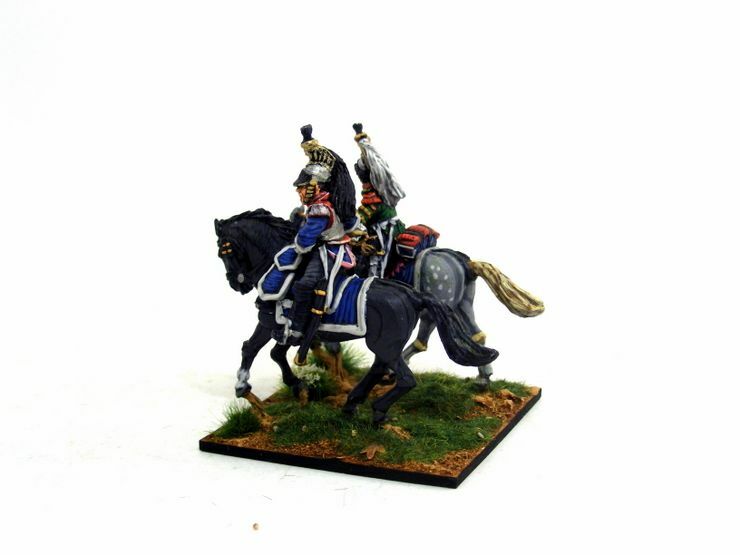 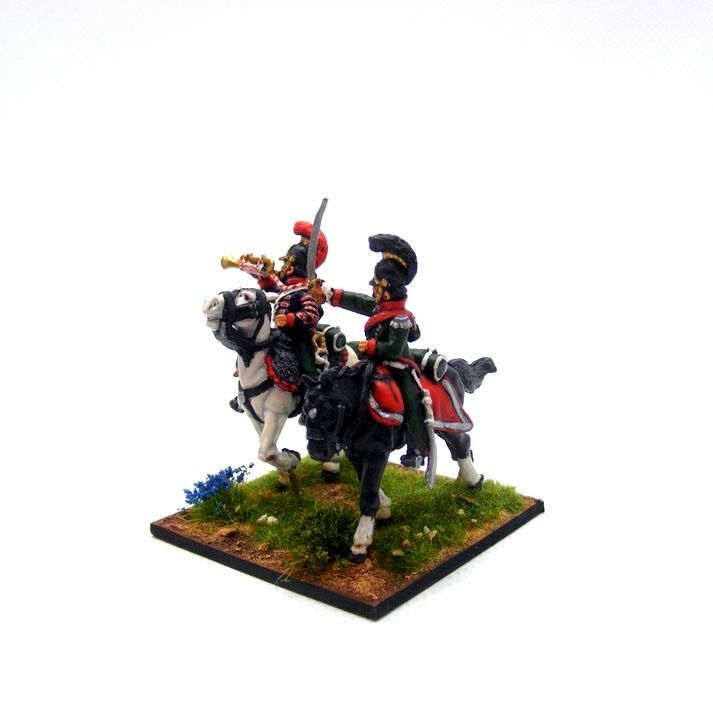 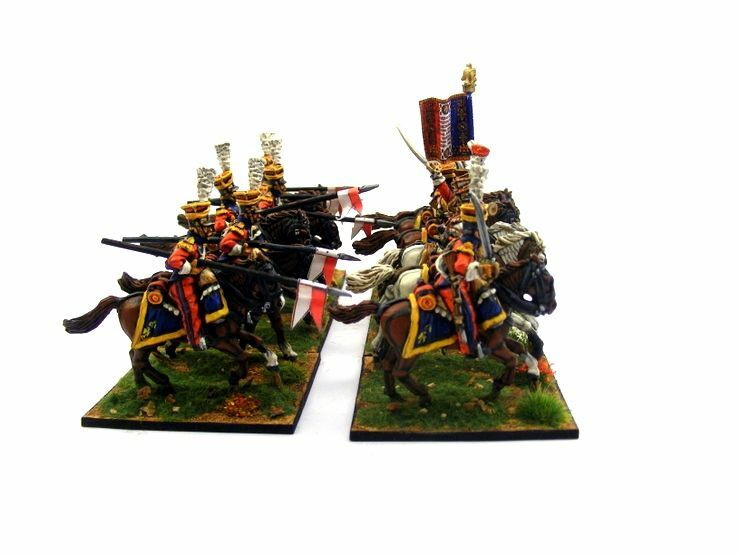 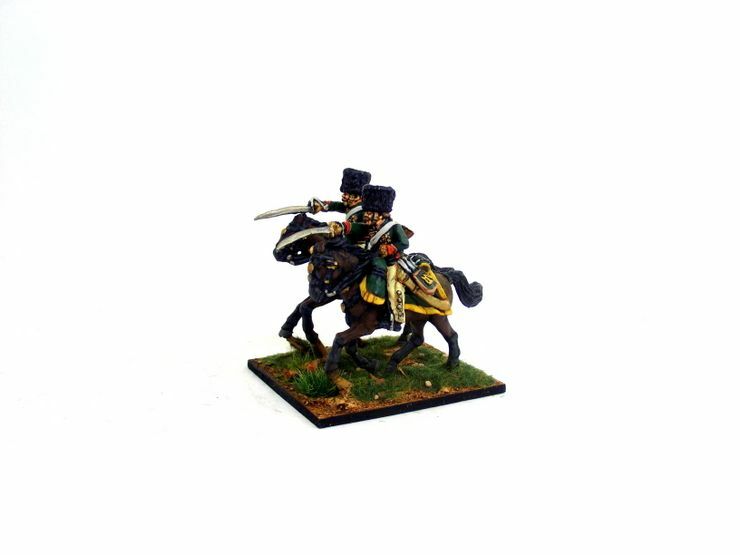 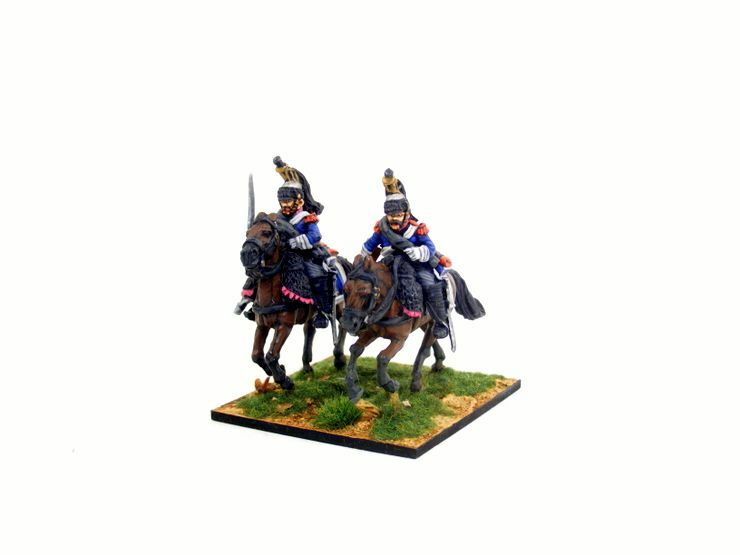 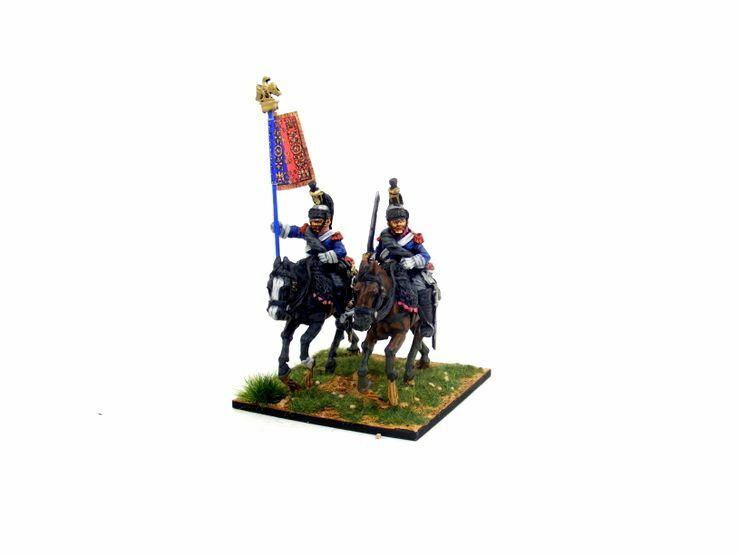 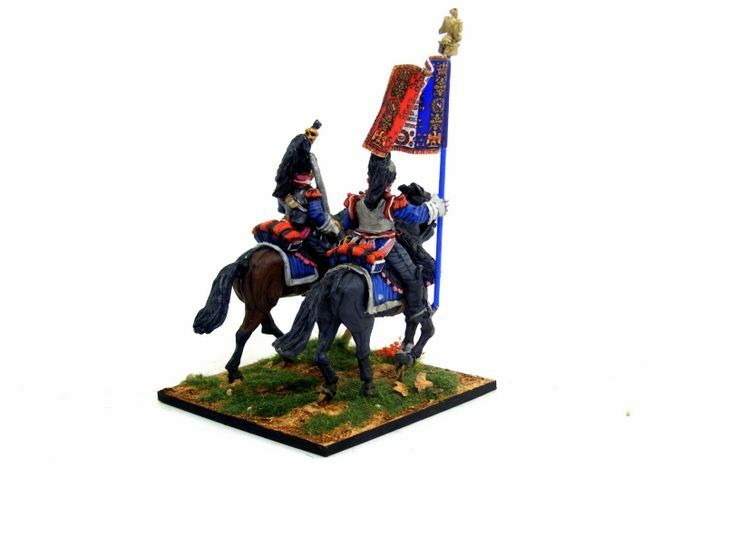 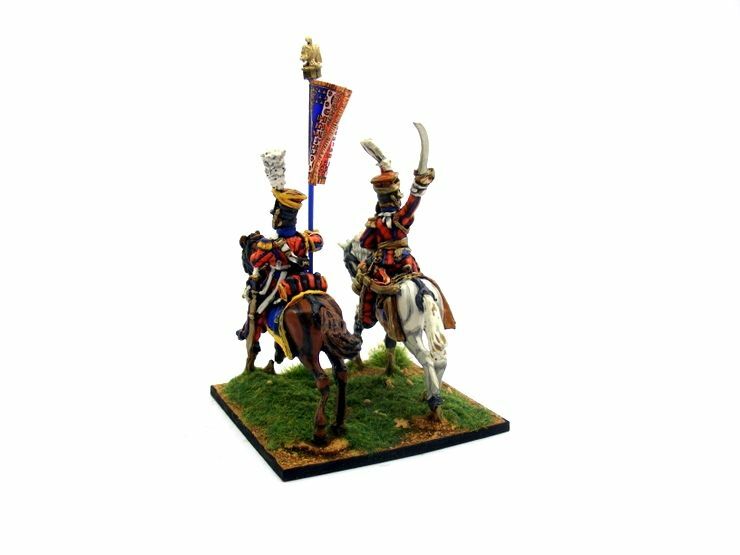 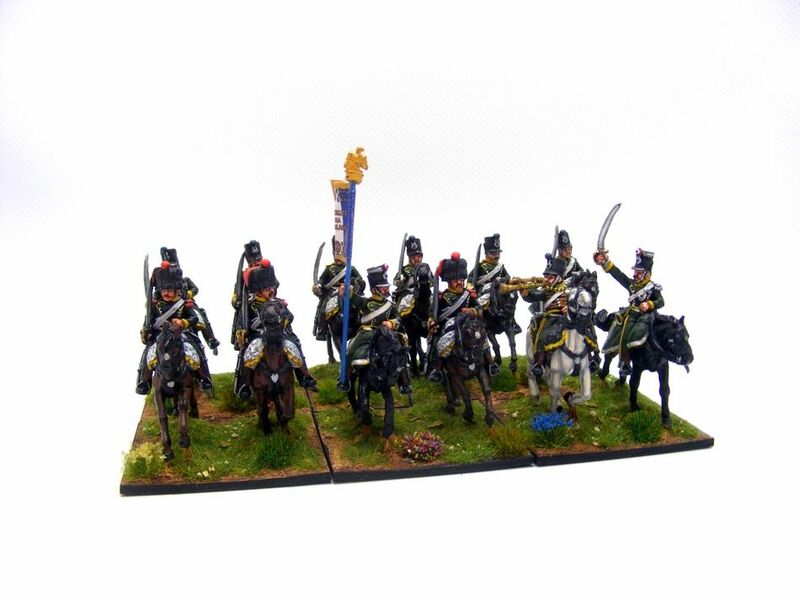 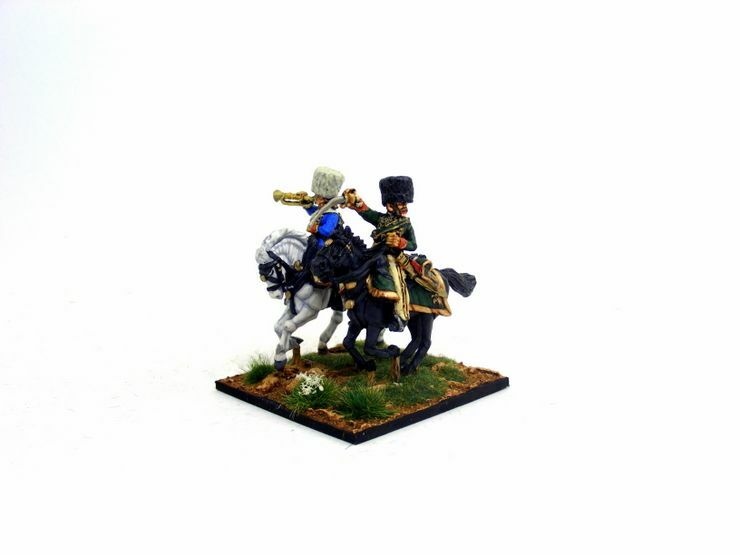 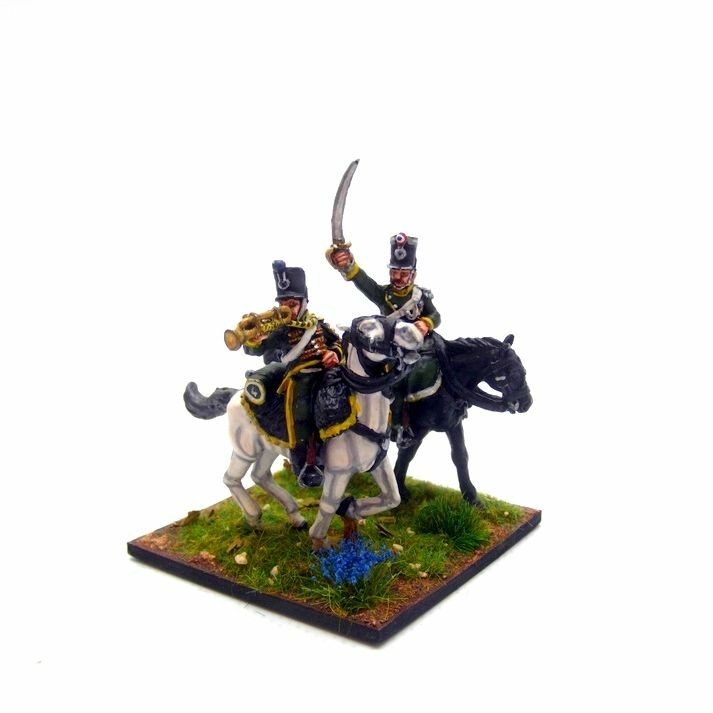 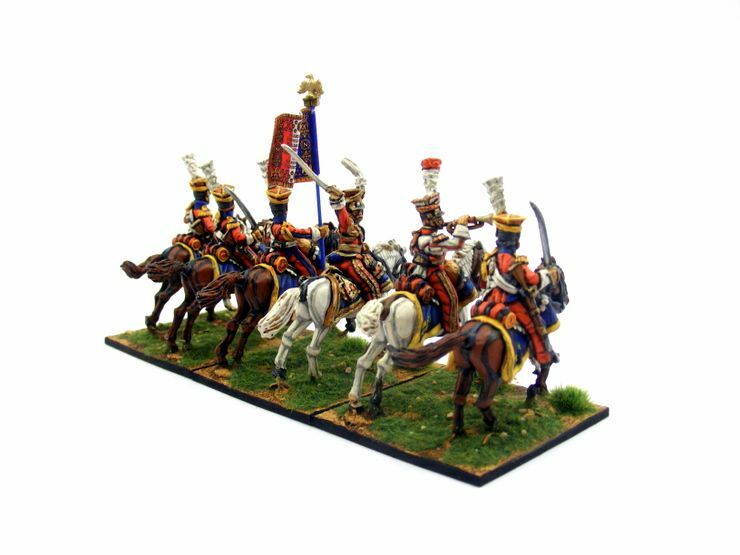 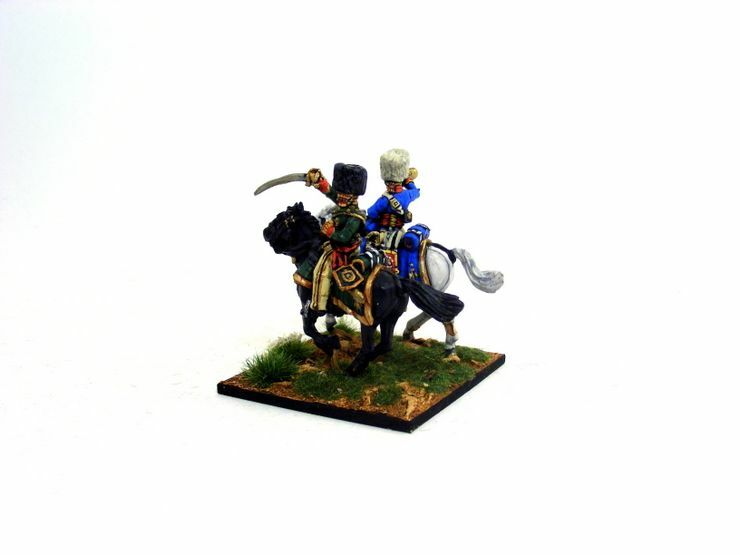 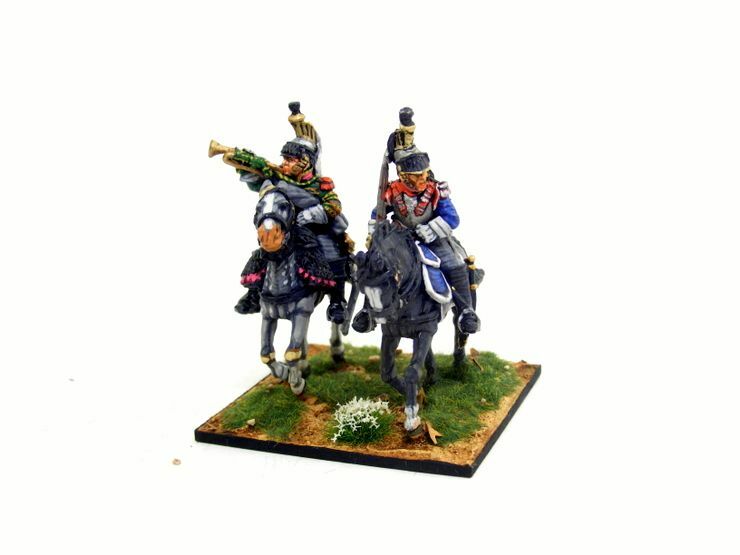 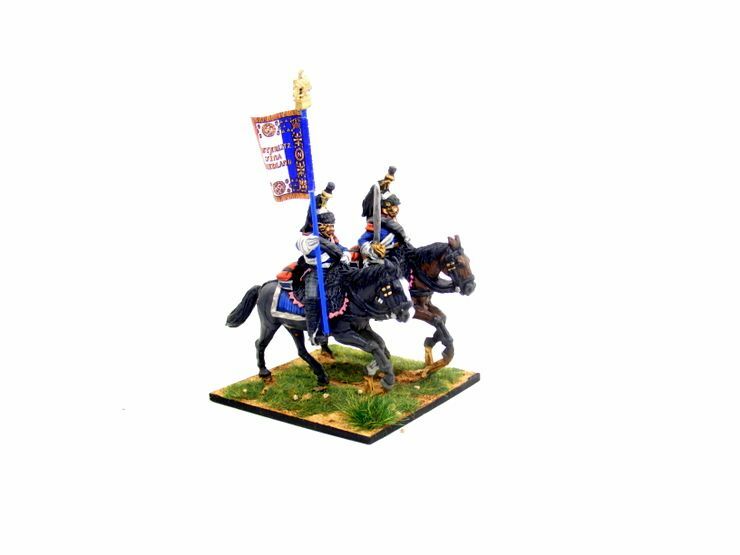 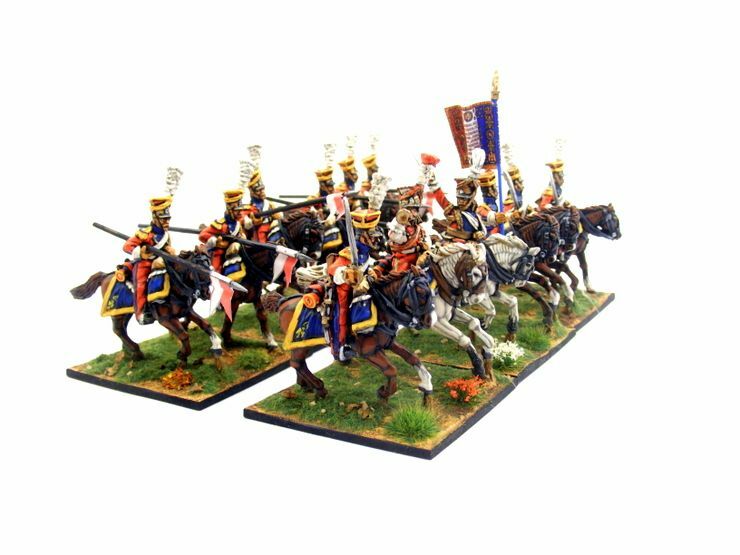 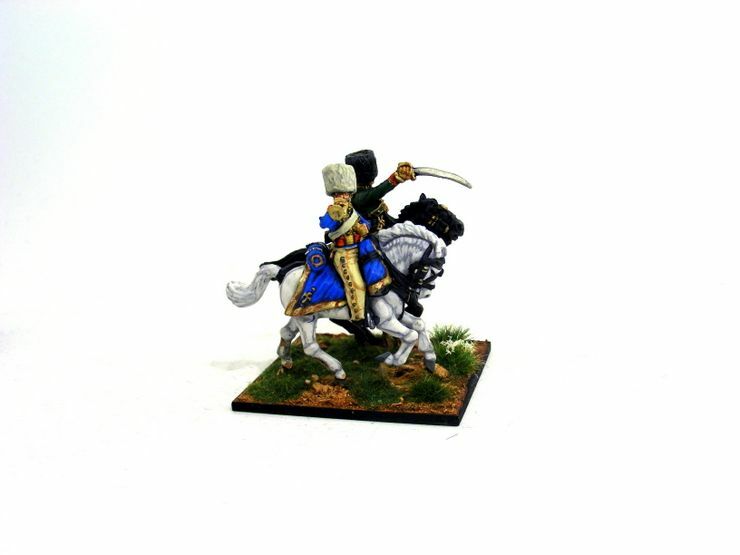 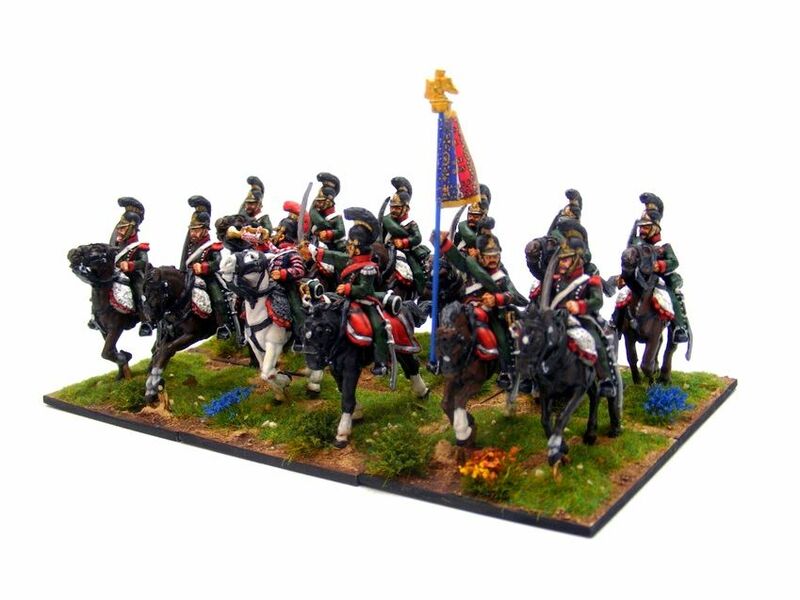 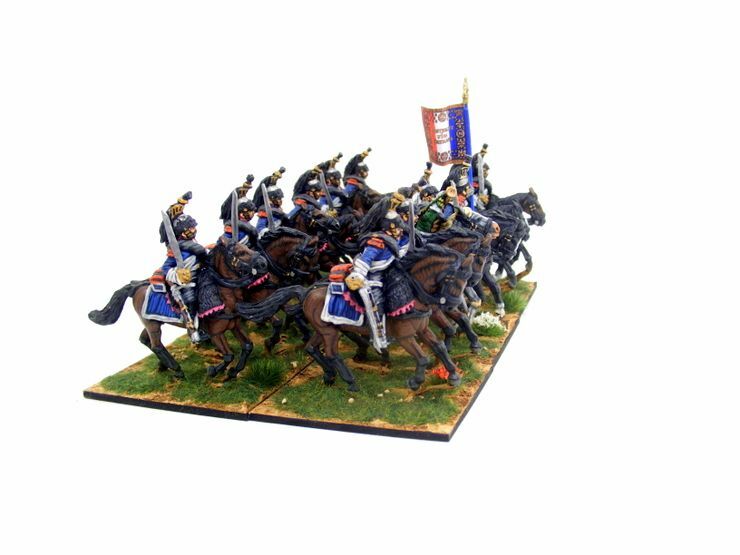 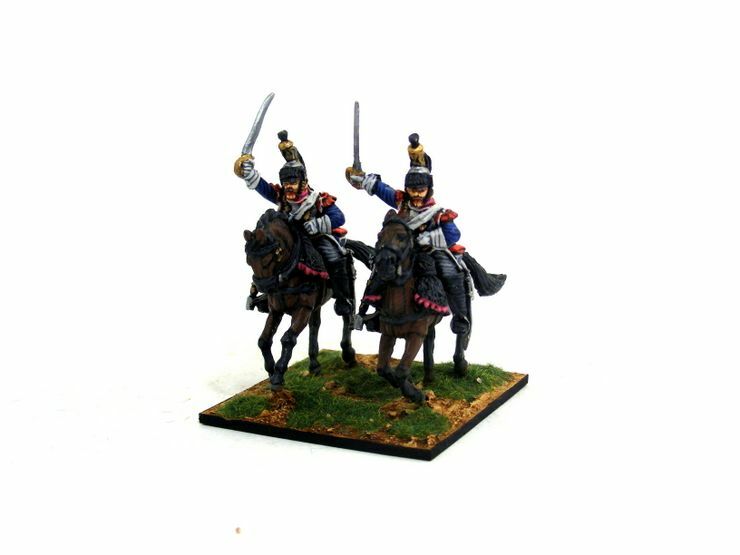 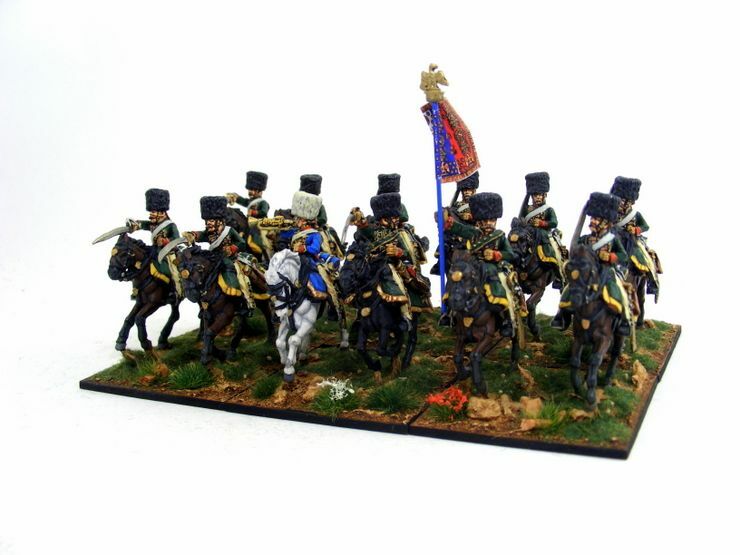 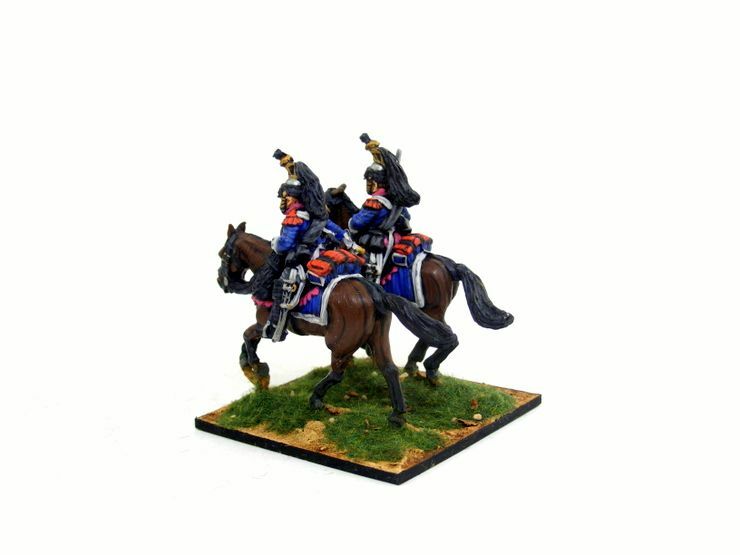 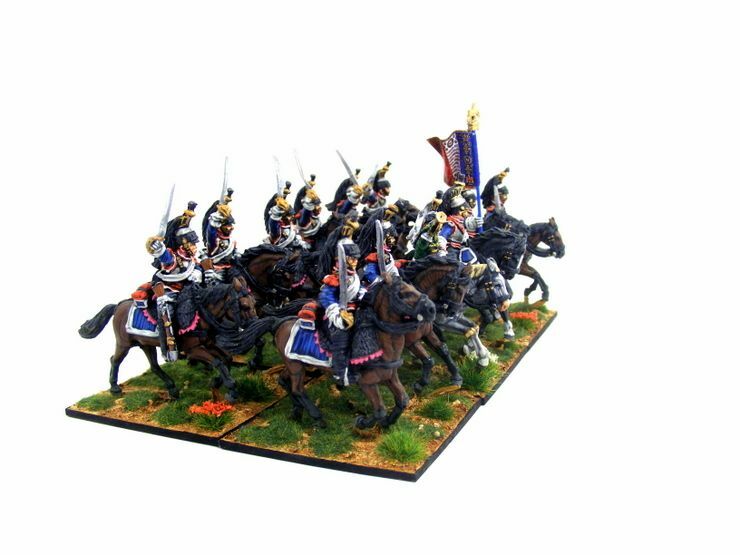 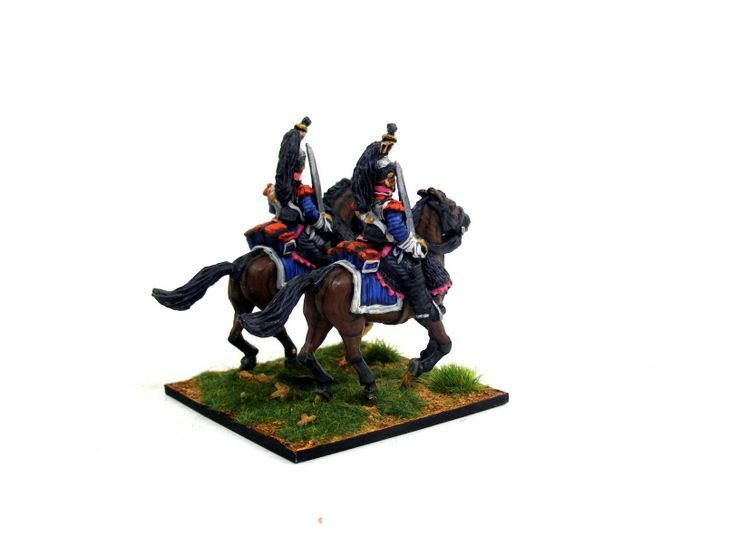 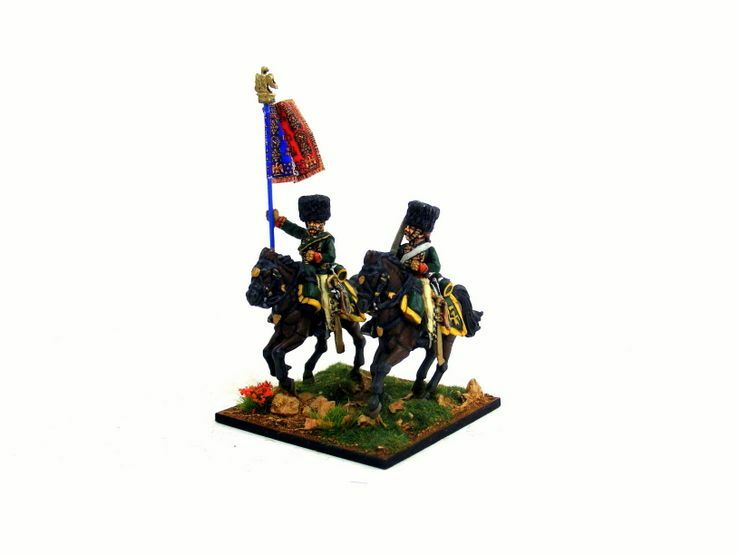 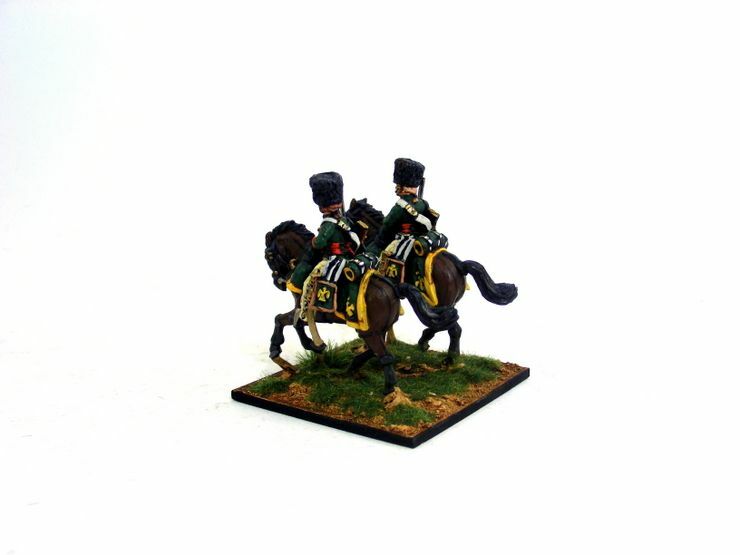 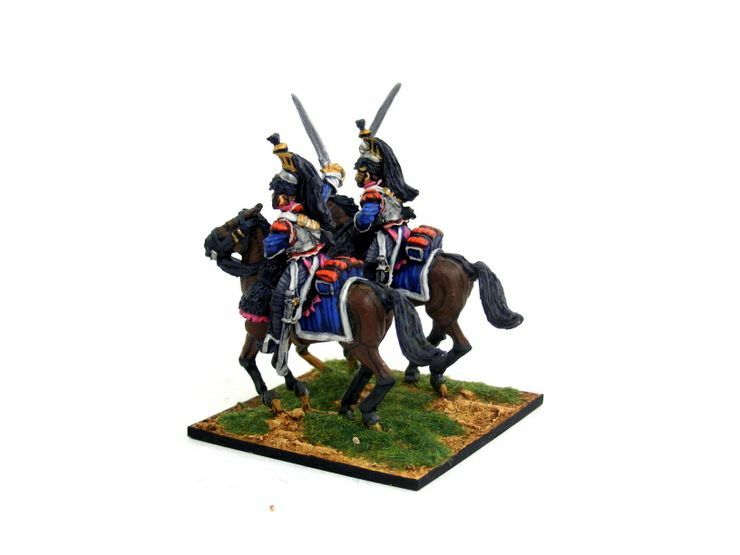 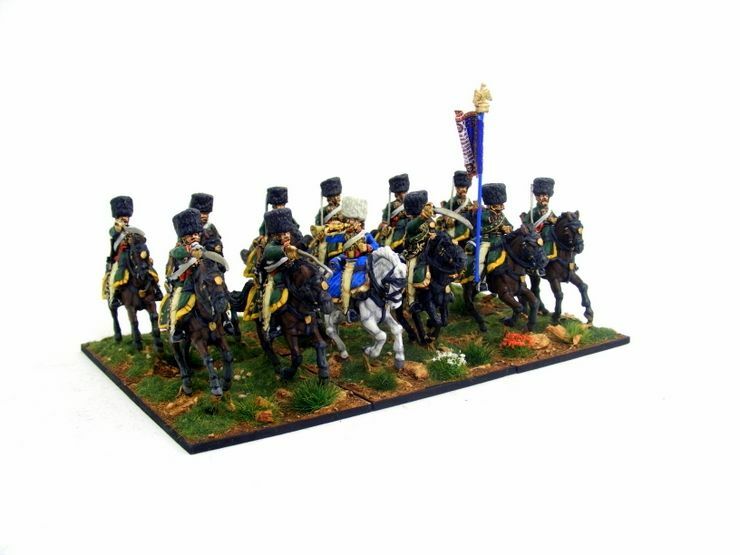 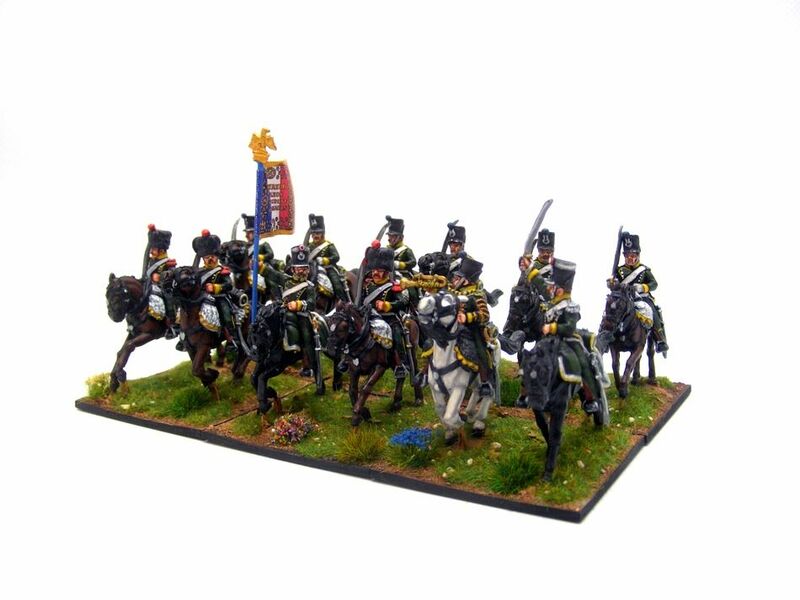 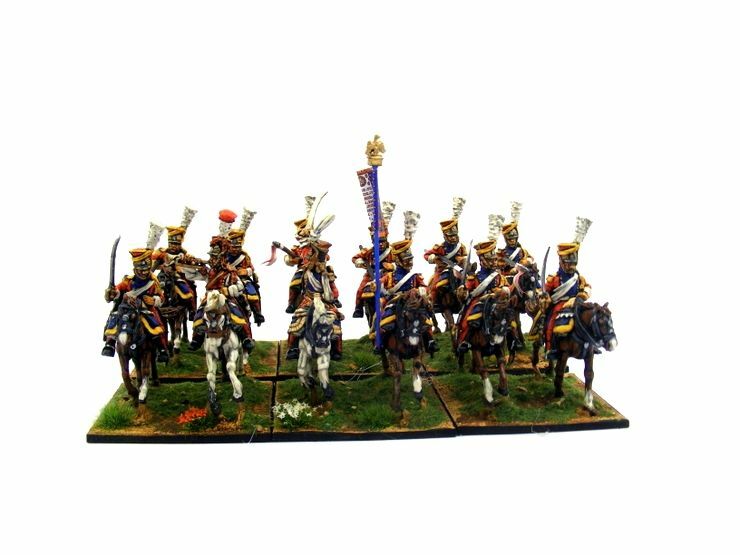 I have decided to put together a gallery of all my Perry French Napoleonic figures. 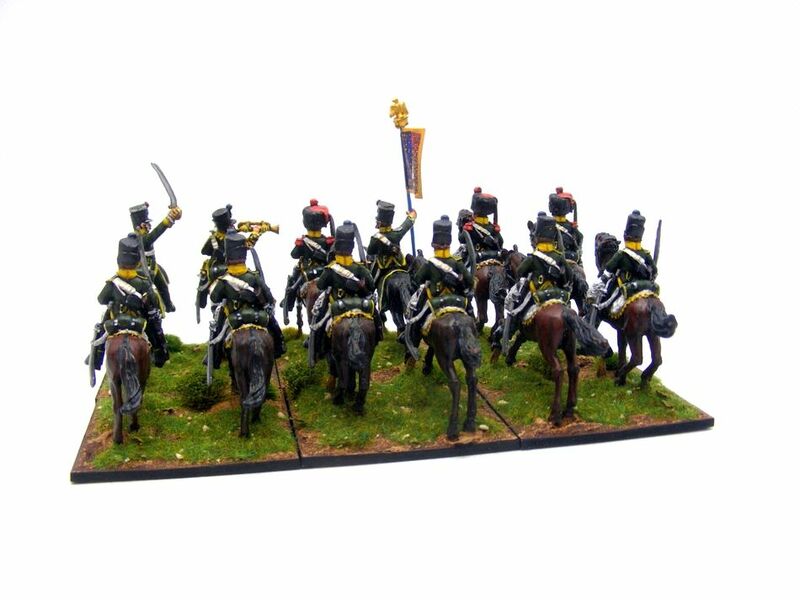 They are all based on 50mm x 50mm x 2mm wooden bases.